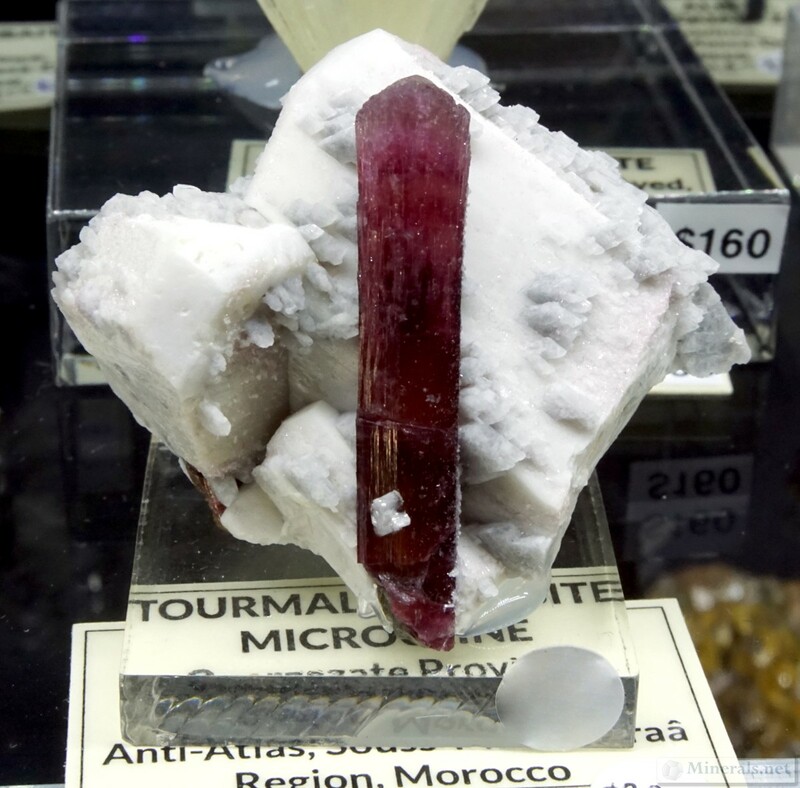 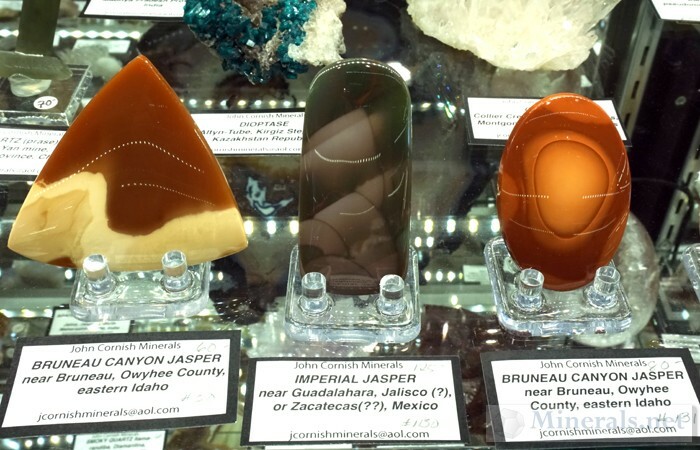 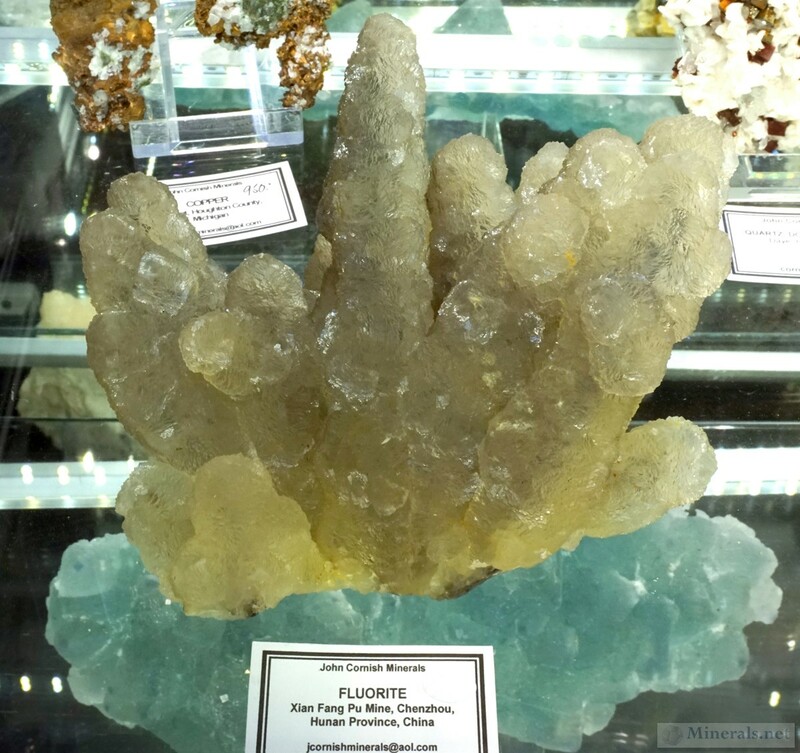 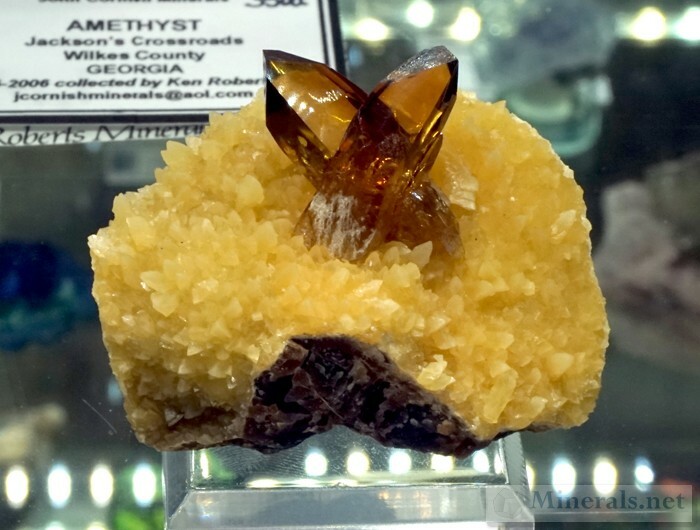 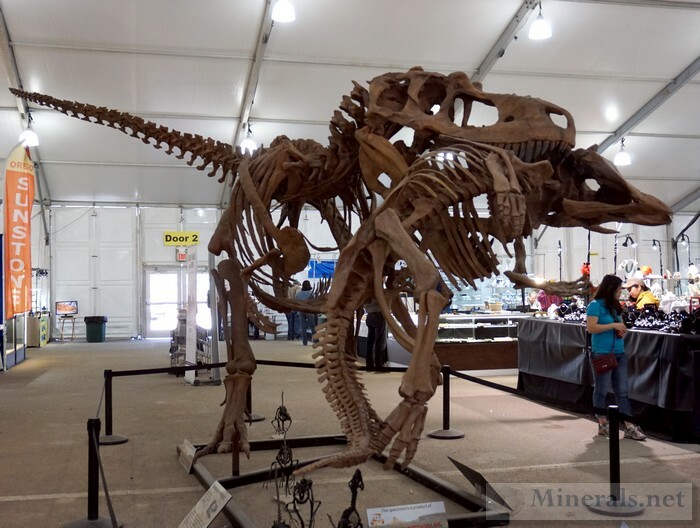 We are once again happy to provide detailed show reports of this year's Tucson Gem & Mineral Show®. 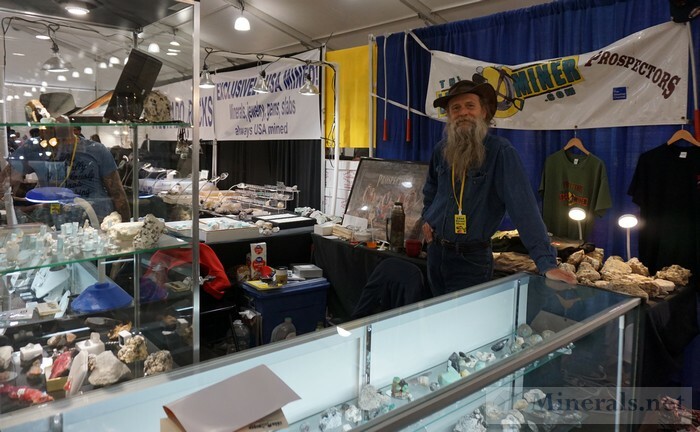 This show is the main attraction of the multi-week Tucson mineral events. 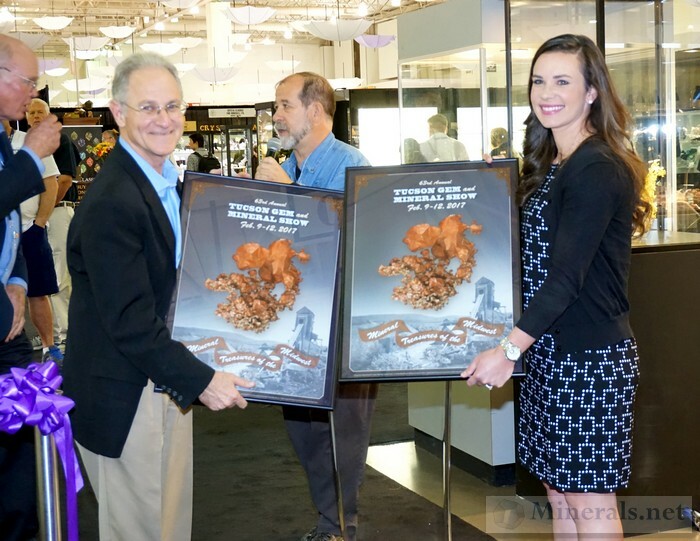 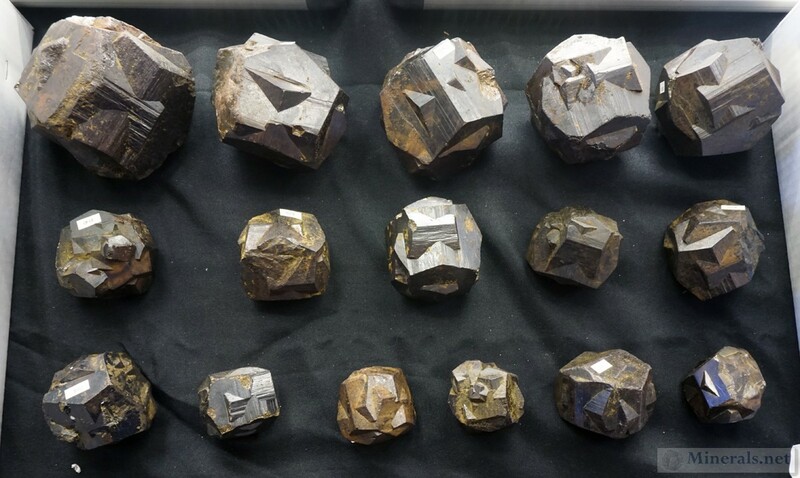 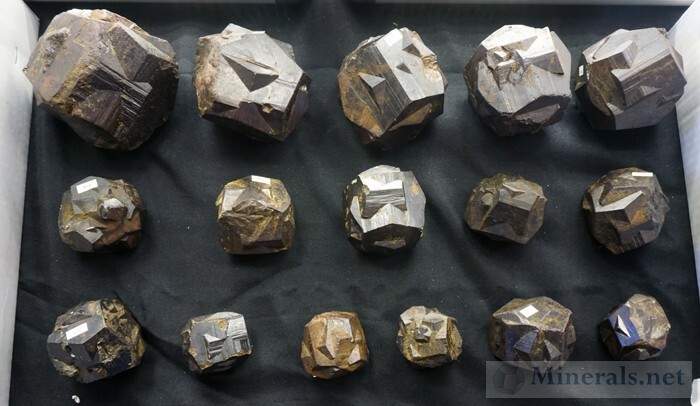 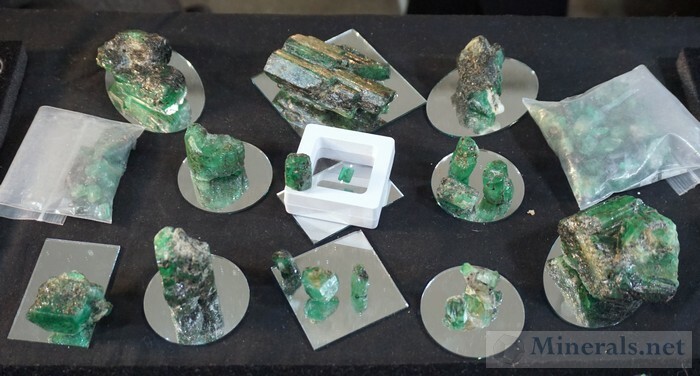 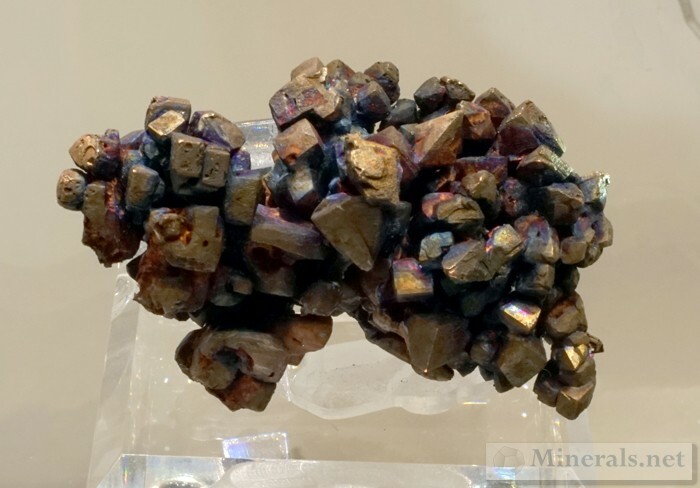 It brings together mineral enthusiasts from around the world to see the exhibits as well as the best and newest material from a multitude of dealers. 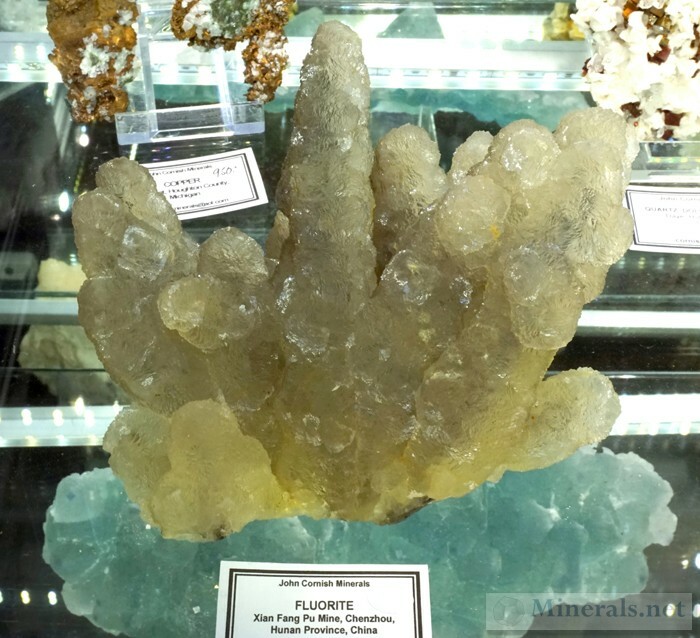 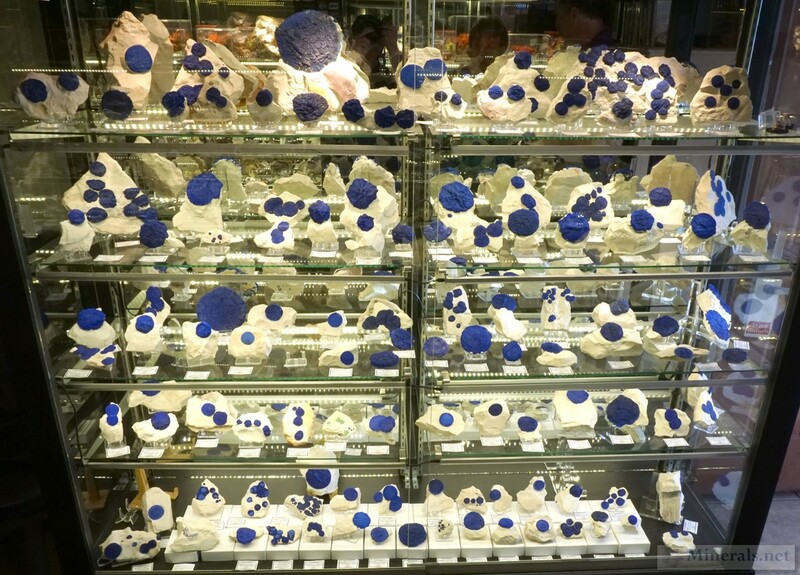 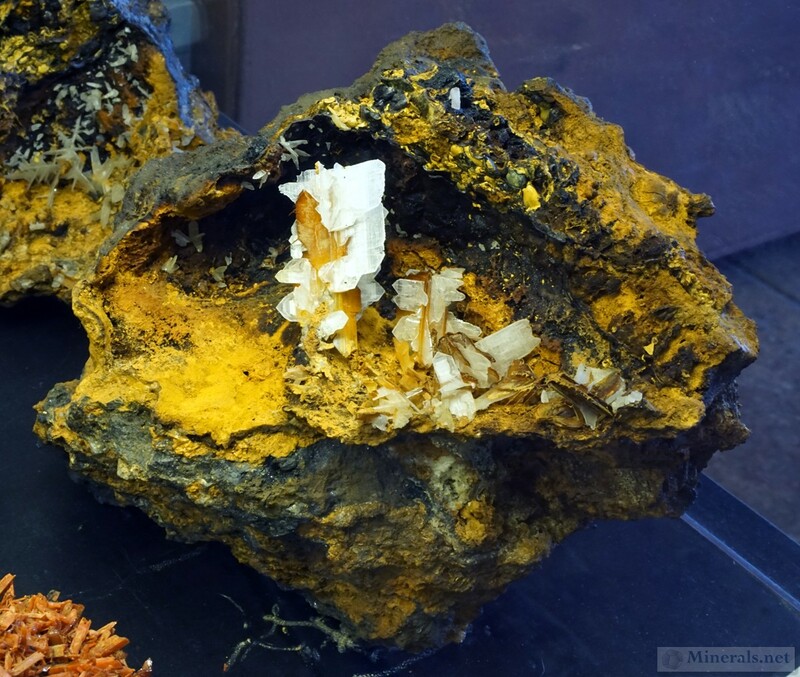 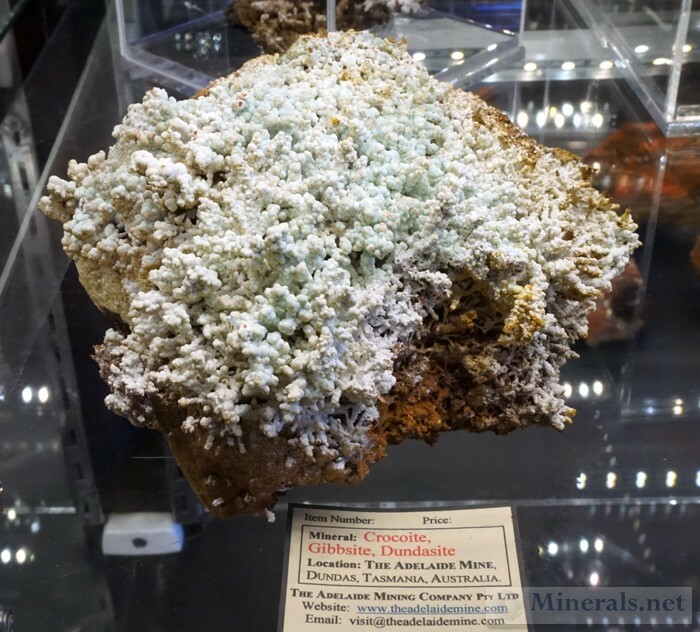 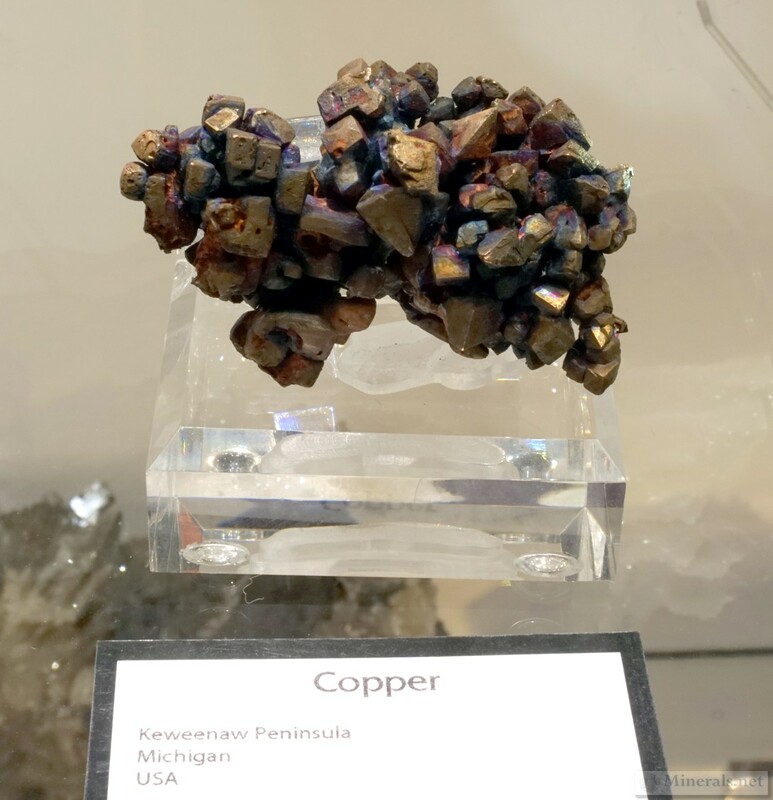 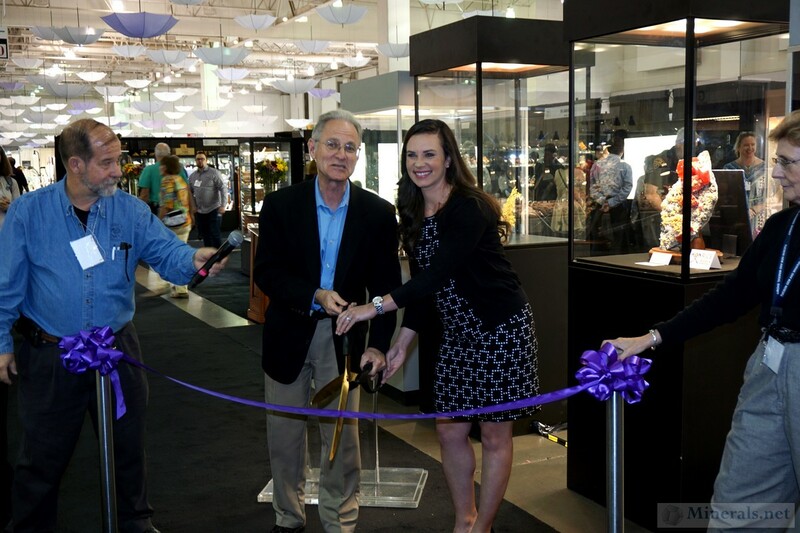 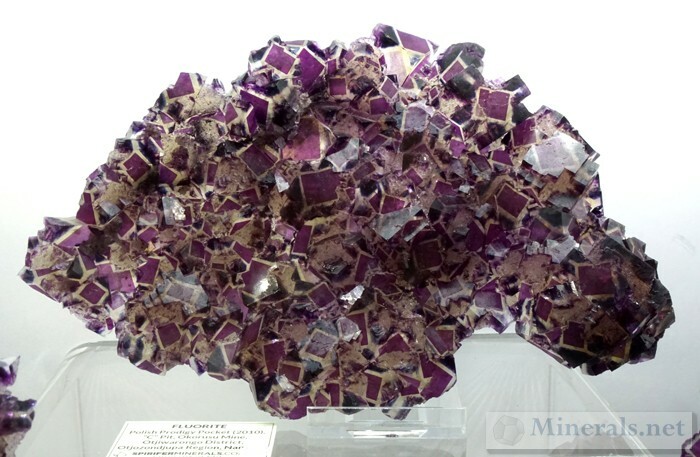 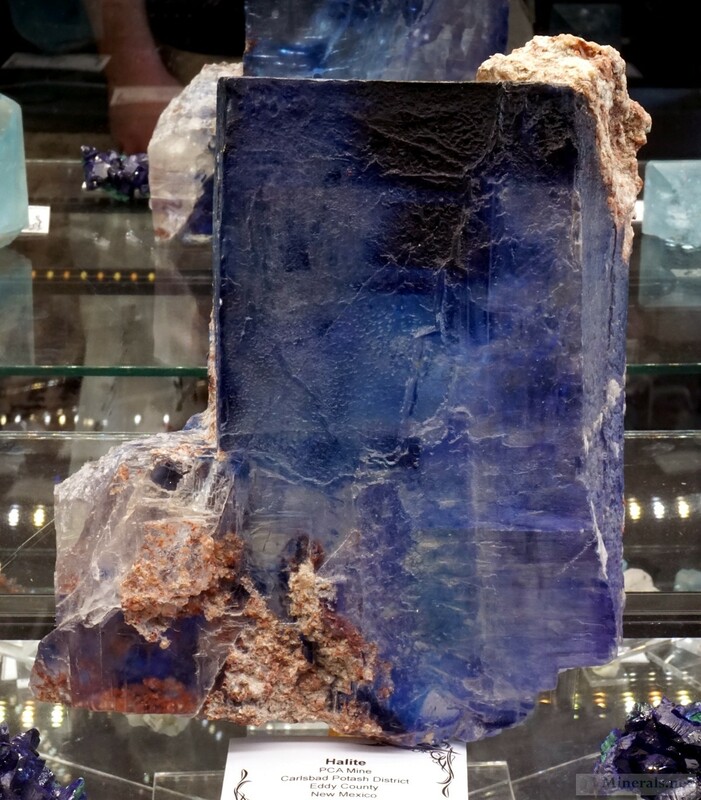 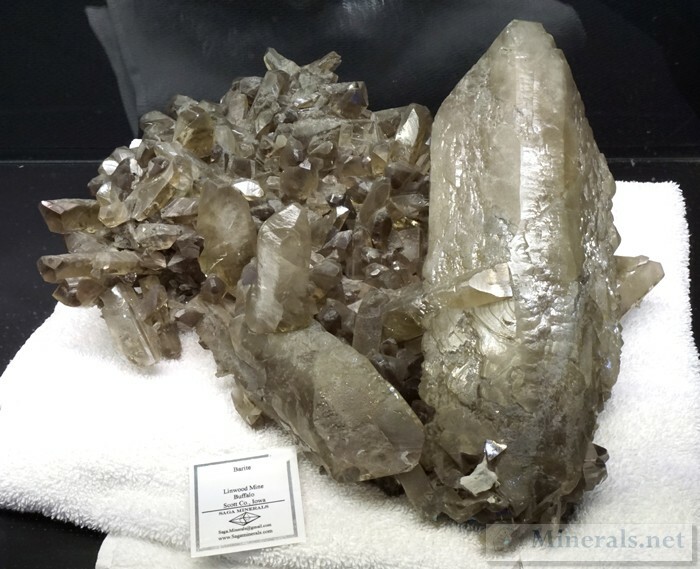 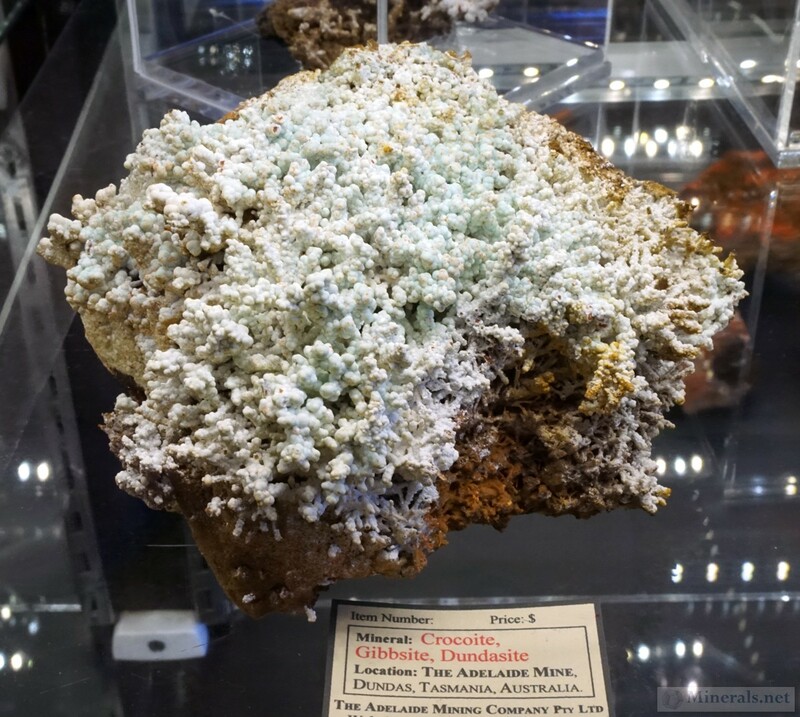 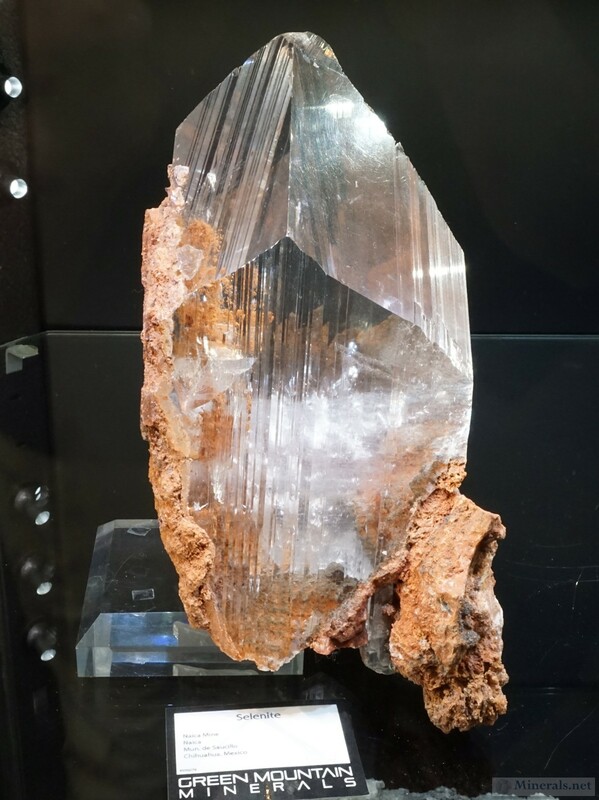 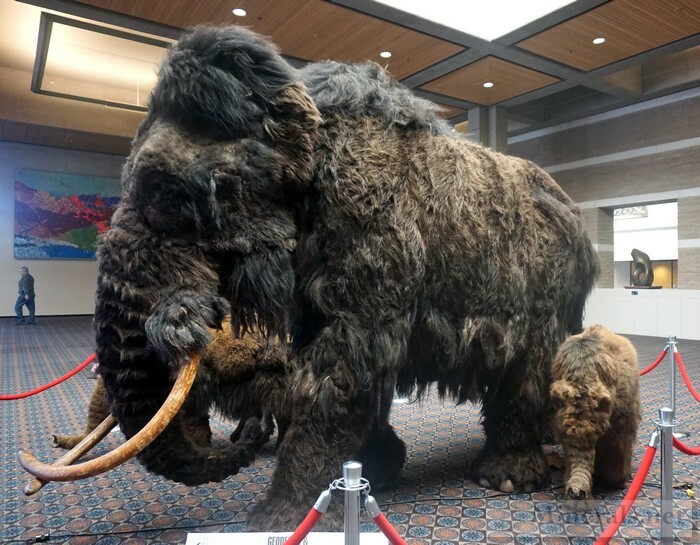 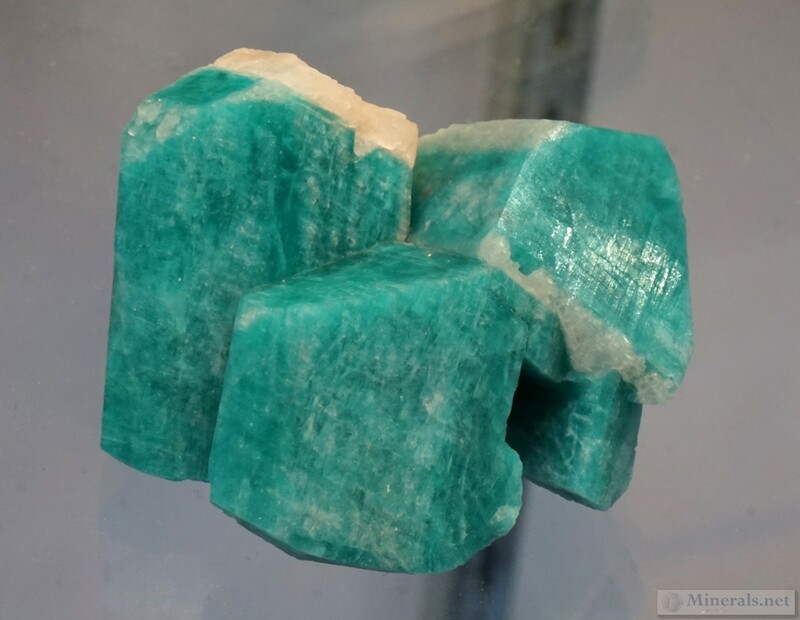 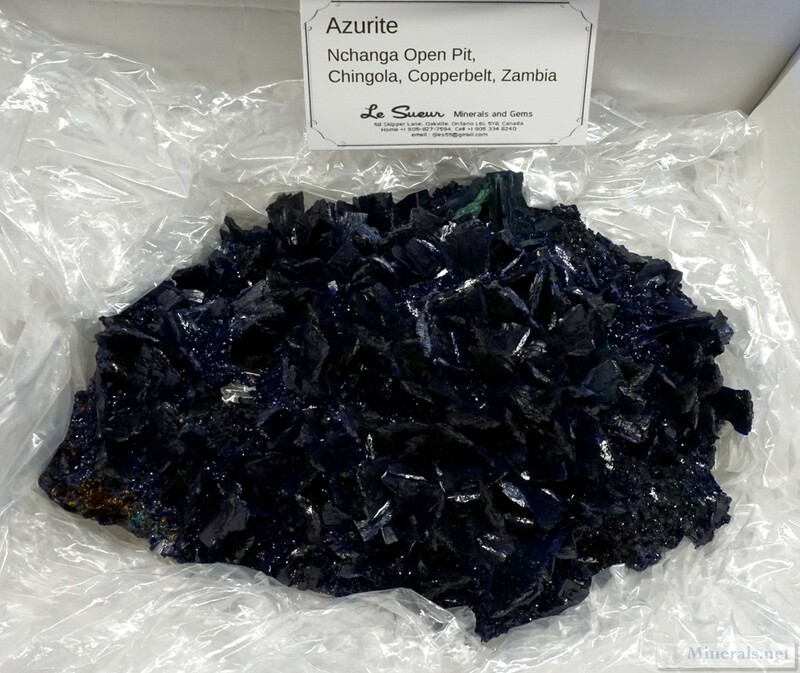 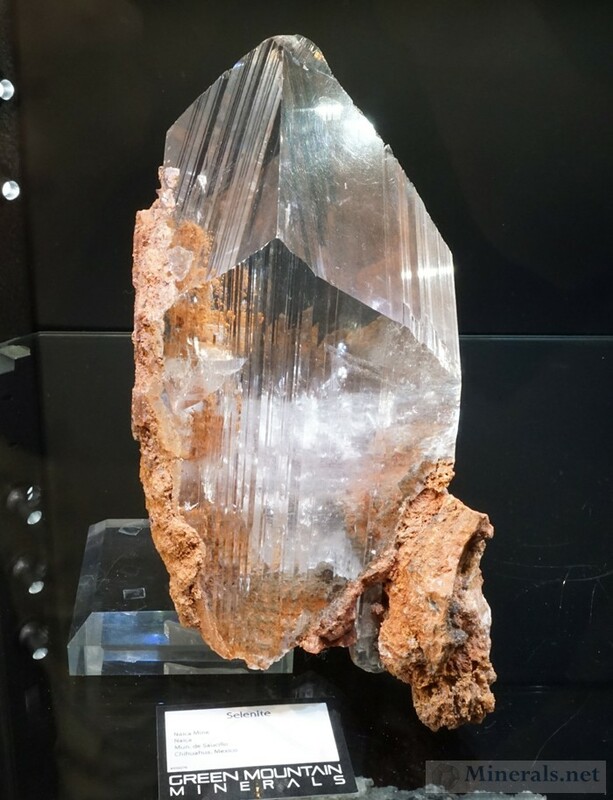 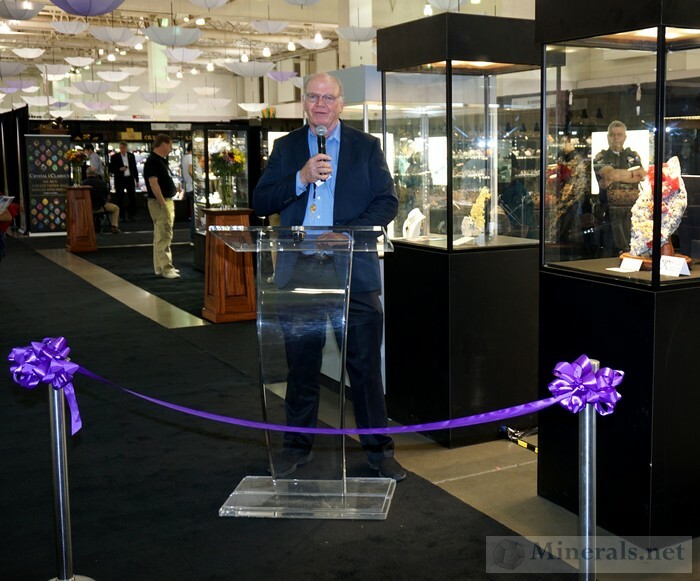 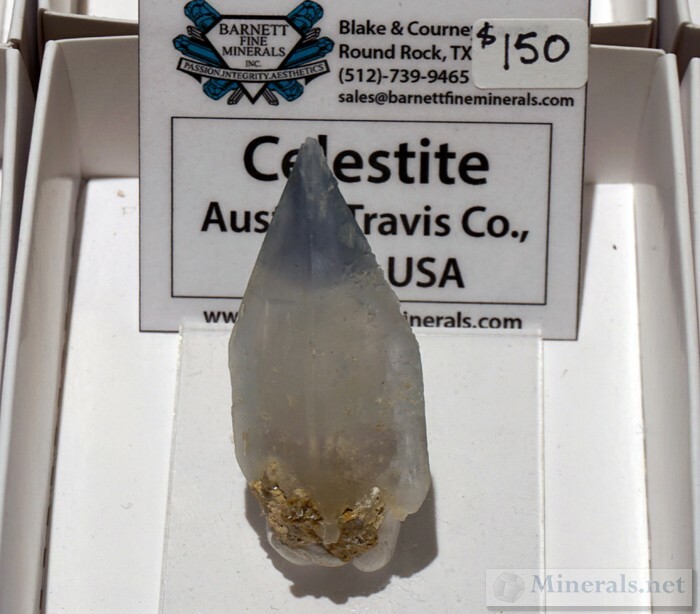 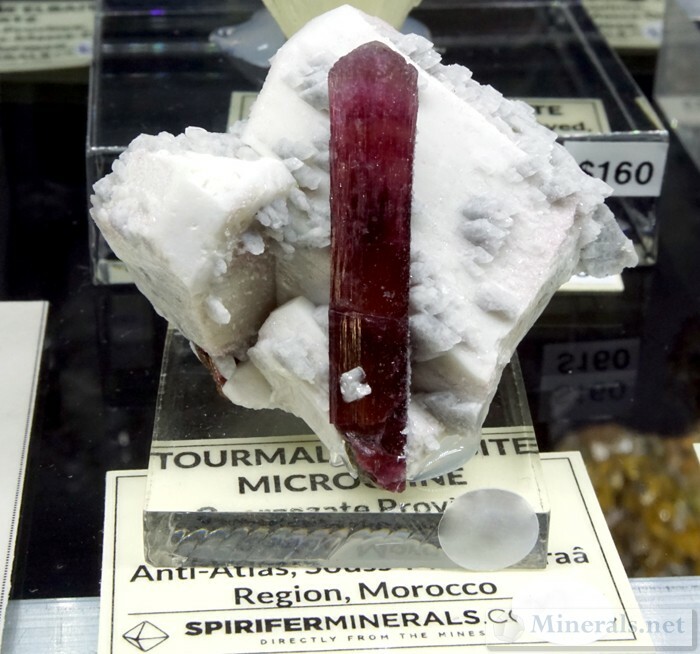 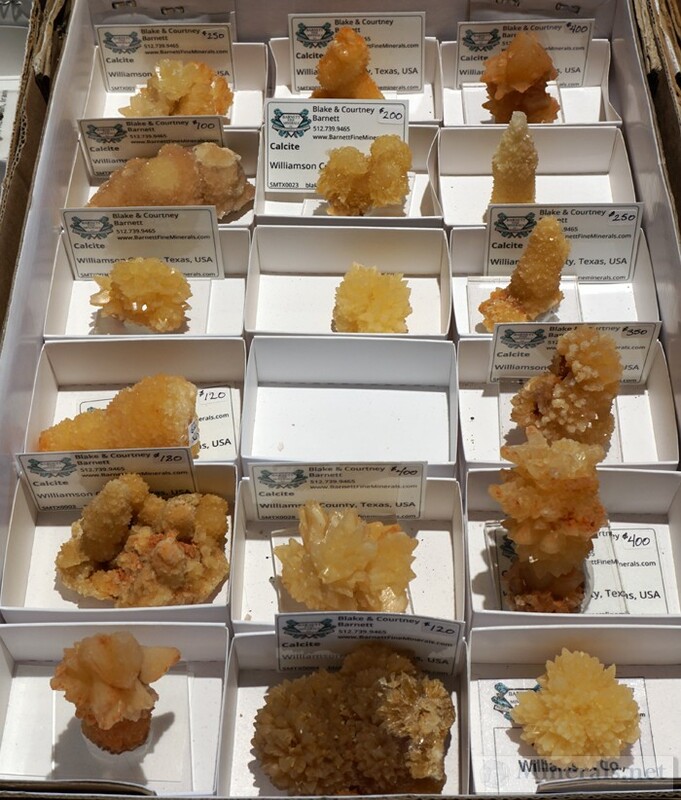 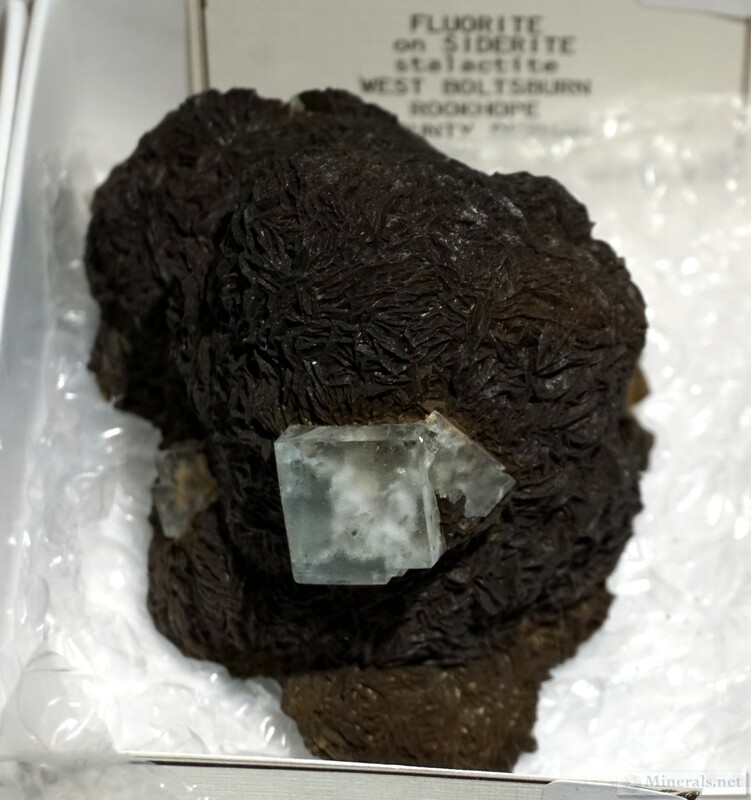 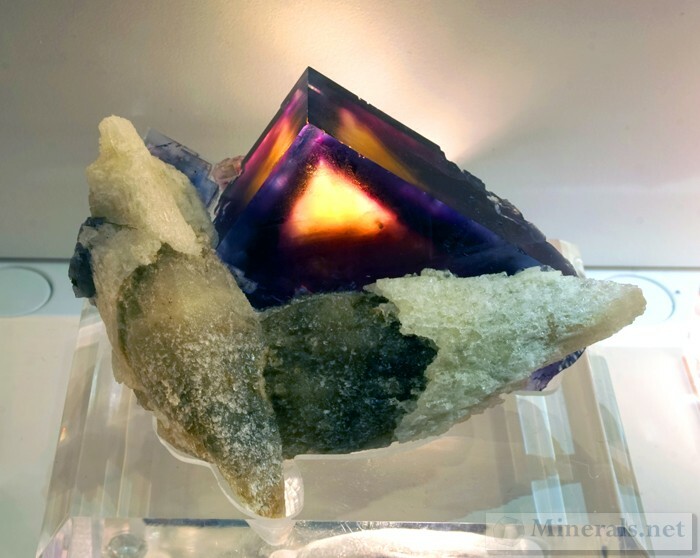 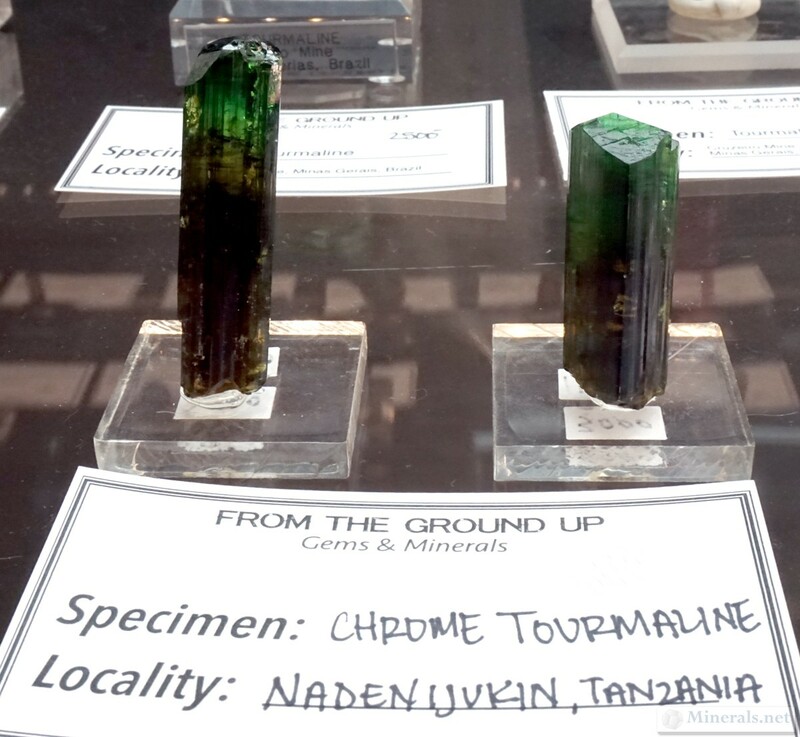 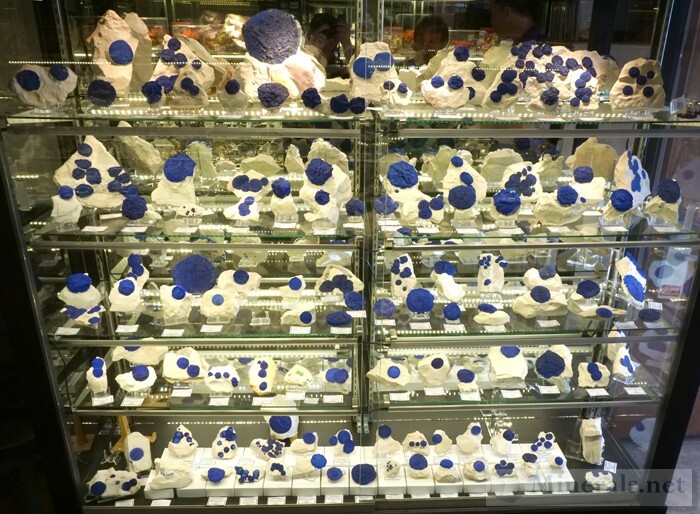 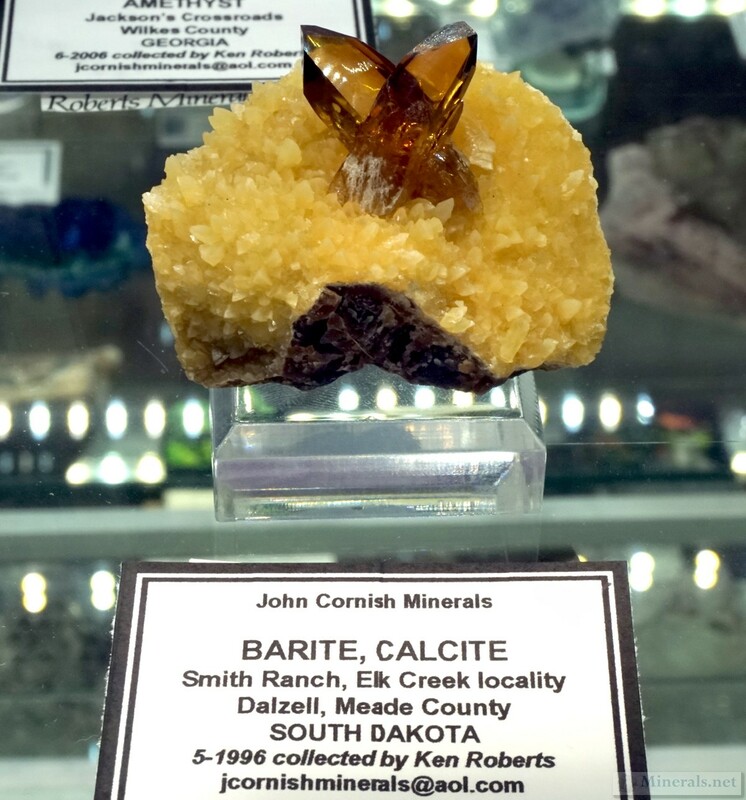 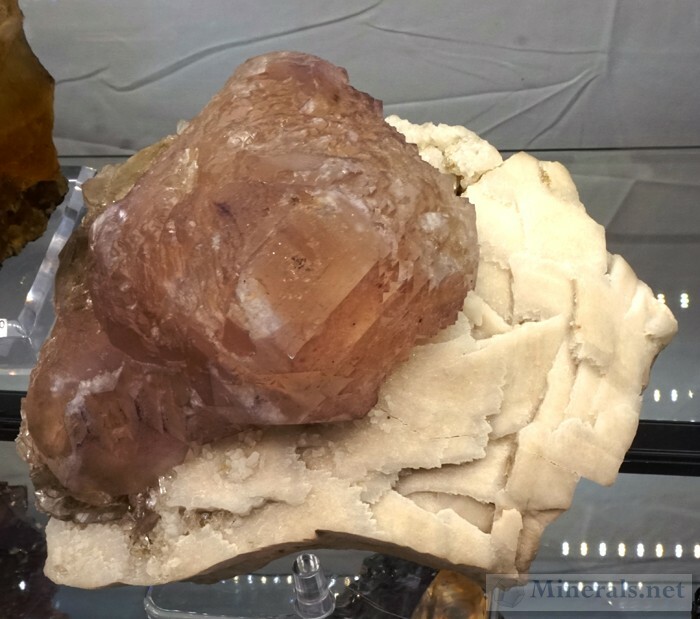 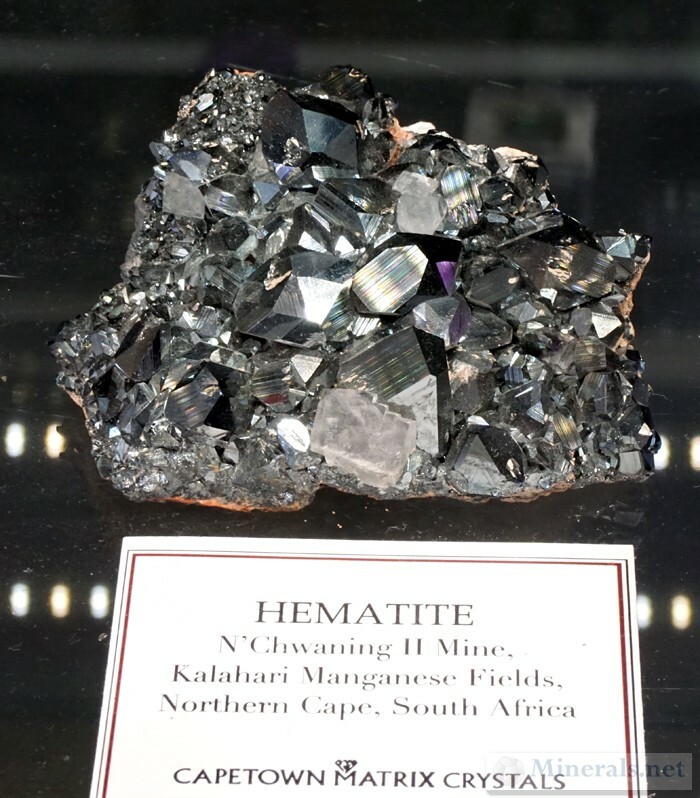 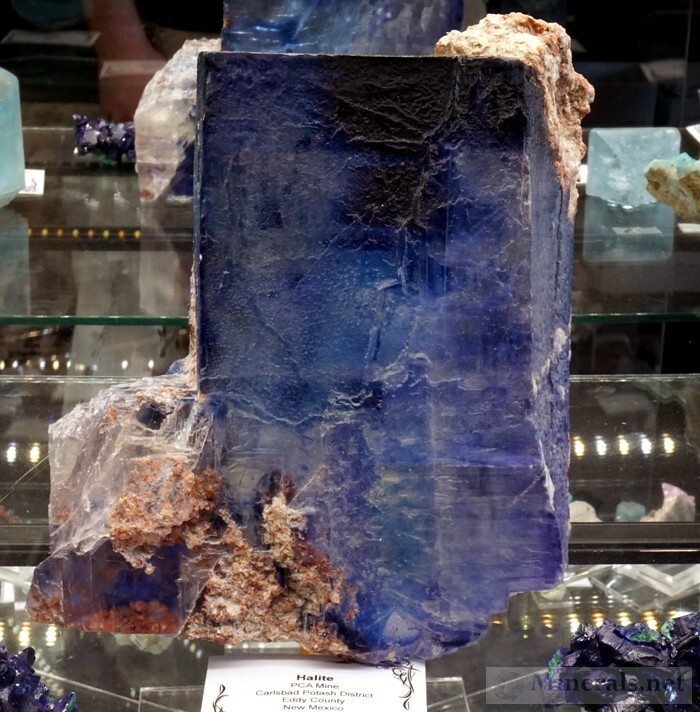 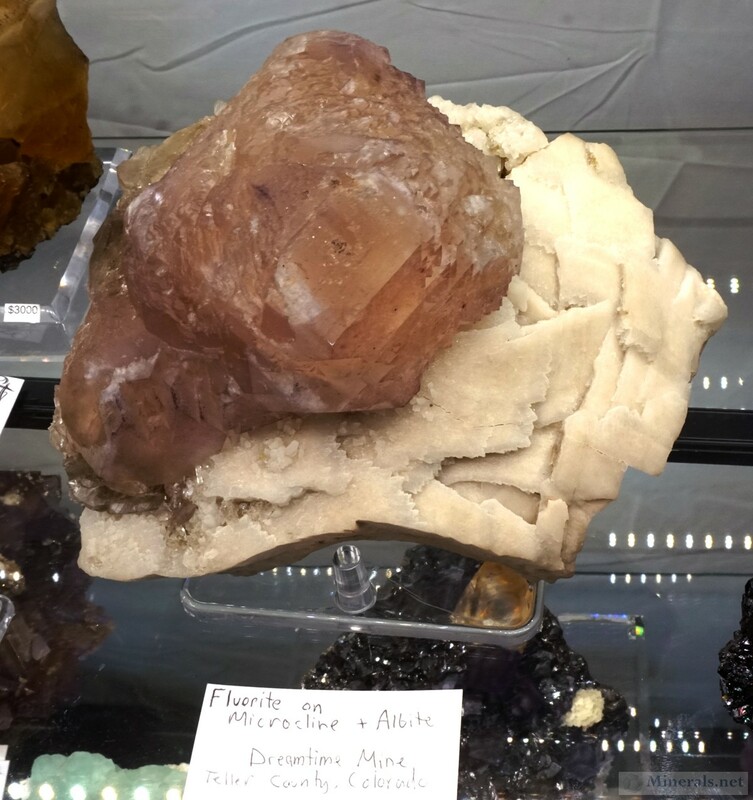 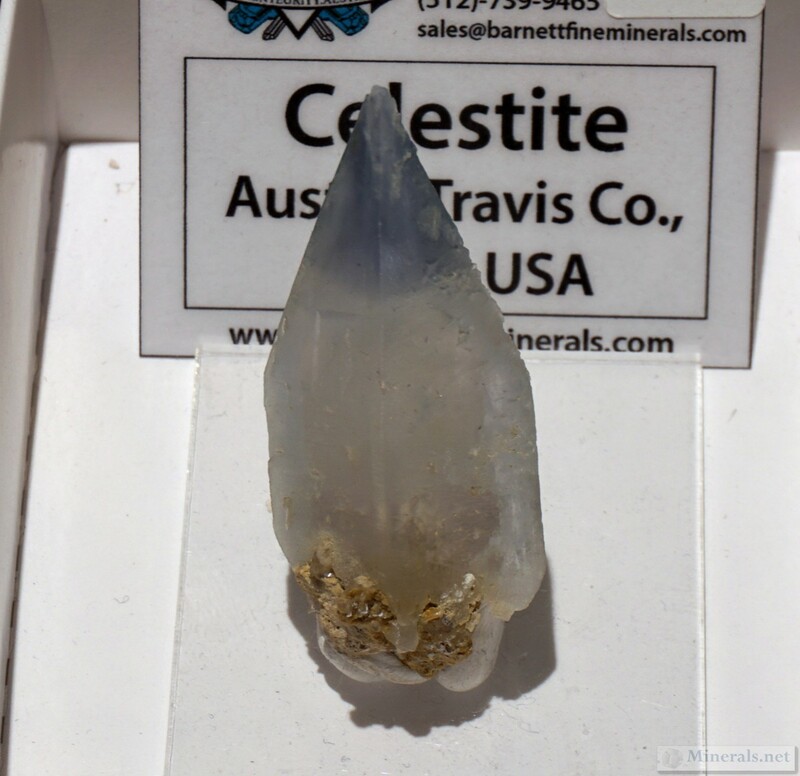 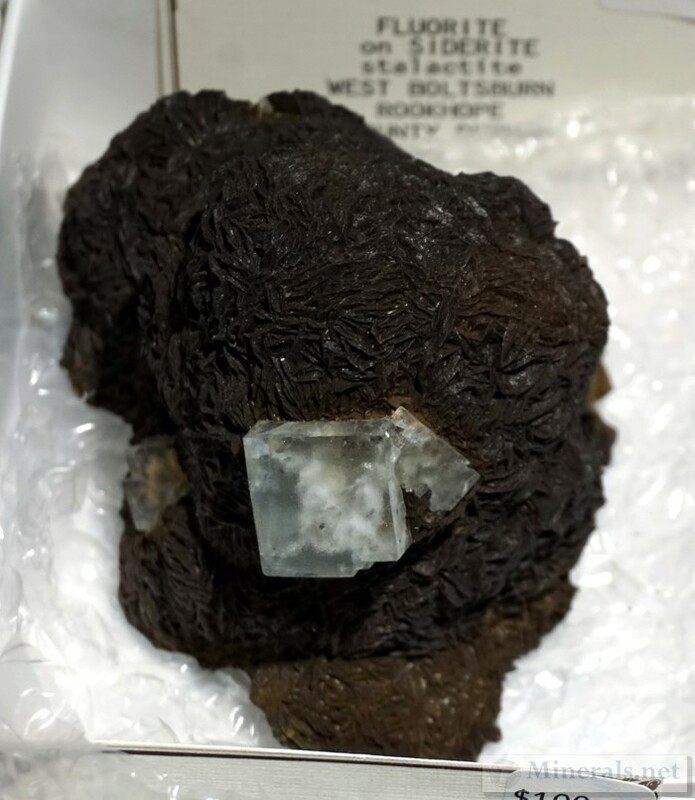 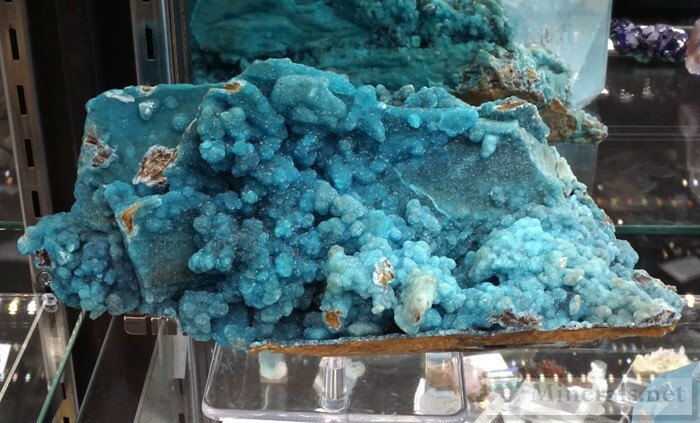 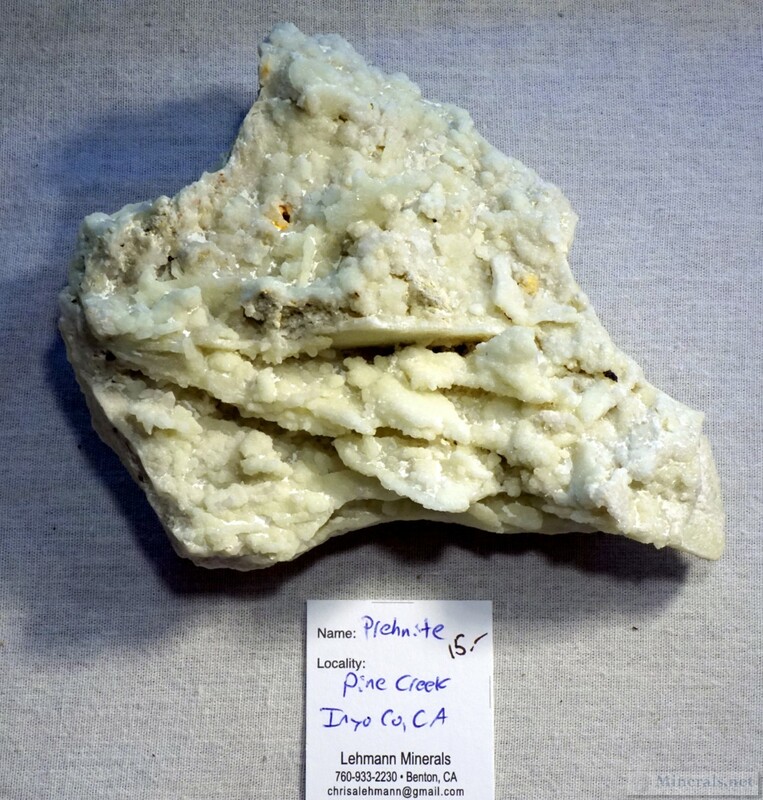 Our coverage includes the opening show scenes, exhibit display cases, individual minerals on display, and dealer minerals. 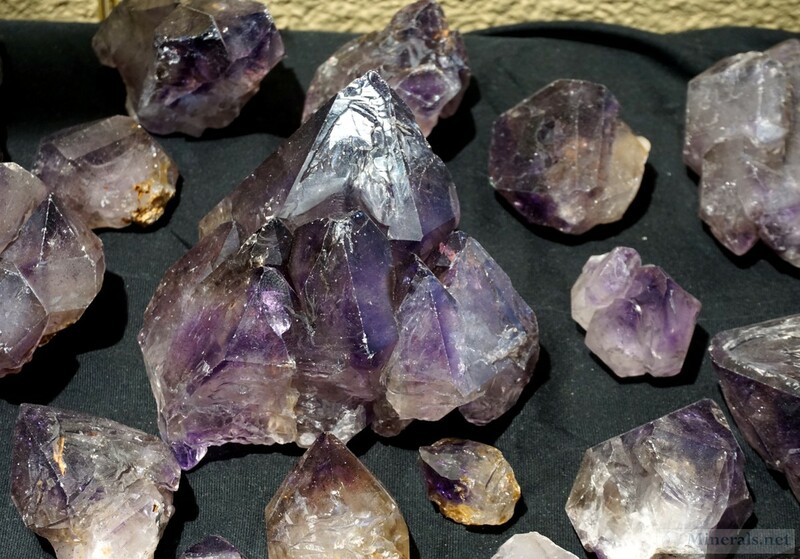 We will divide these into several posts starting with the opening scenes. 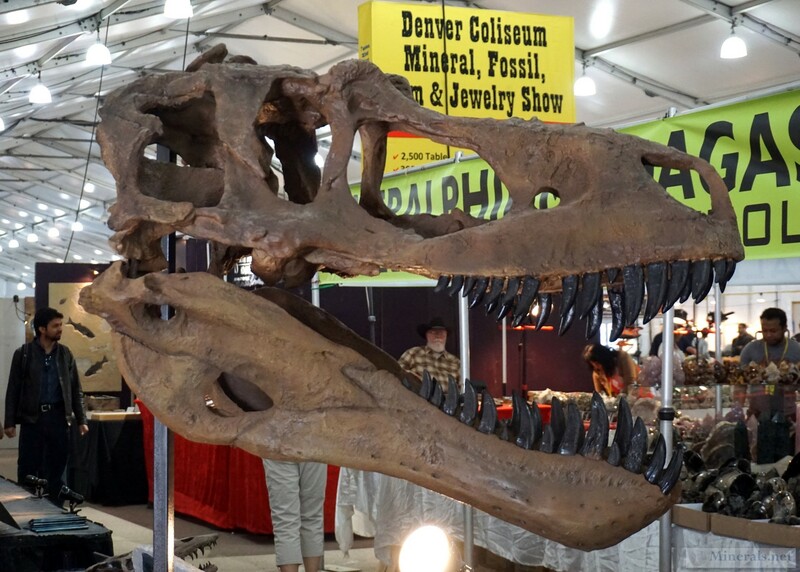 This year's show took place from Thursday, February 9, though Sunday, February 12. 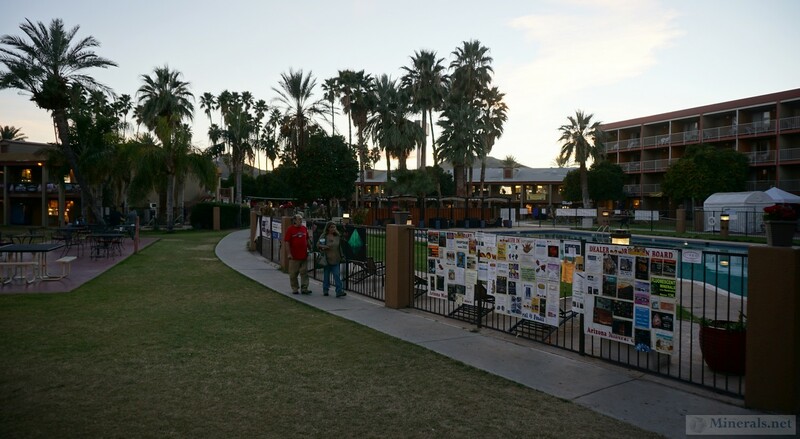 On Thursday morning, the show began with a ribbon cutting ceremony with the mayor of Tucson and a representative of the governor's office. 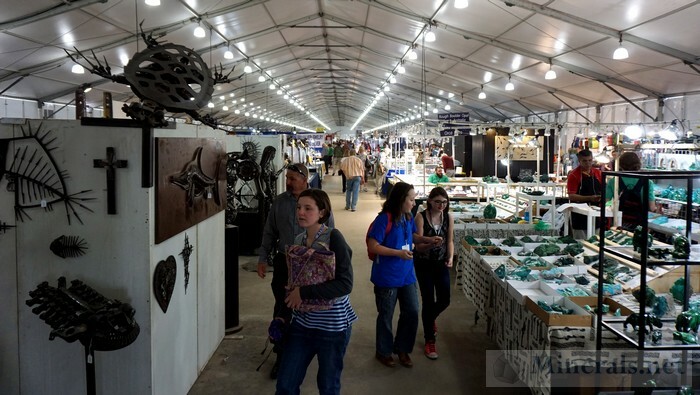 The 22nd Street show is set up in a giant tent on the east side of Interstate 10. 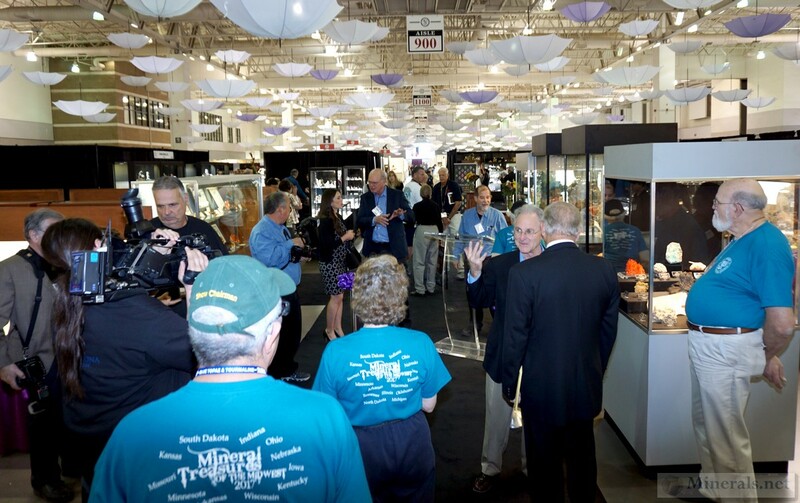 This show grows every year, and now features hundreds of dealers. 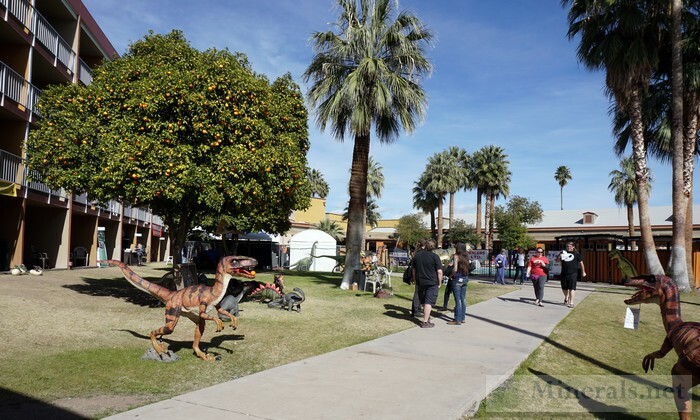 It is in the vicinity of a cluster of other shows which are on the other side of the highway, and offers free parking. This show has all types of booths, including jewelry, fossil, mineral, and bead dealers. 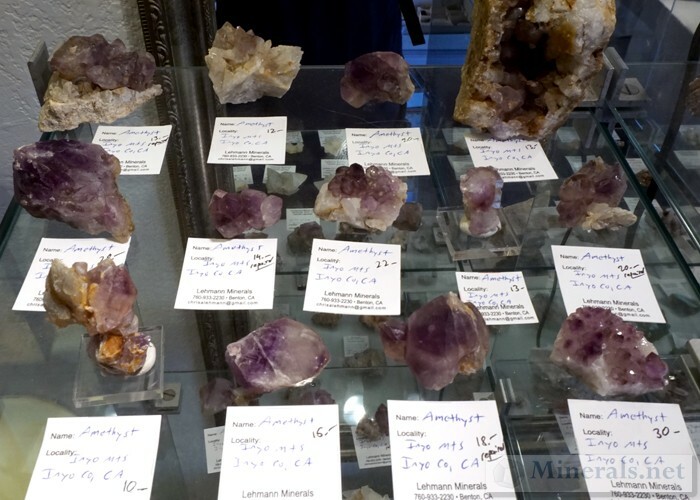 I always find some good hidden deals at this show for my own collection. 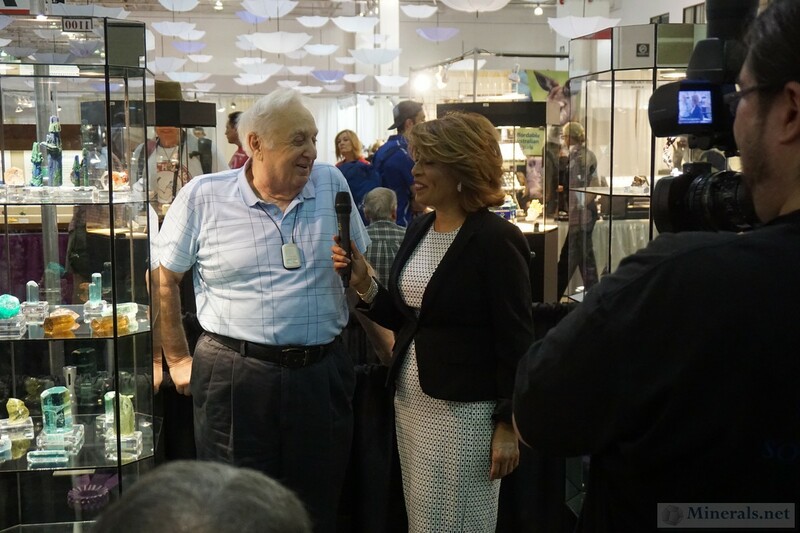 Below are some photos from the 22nd Street Show. 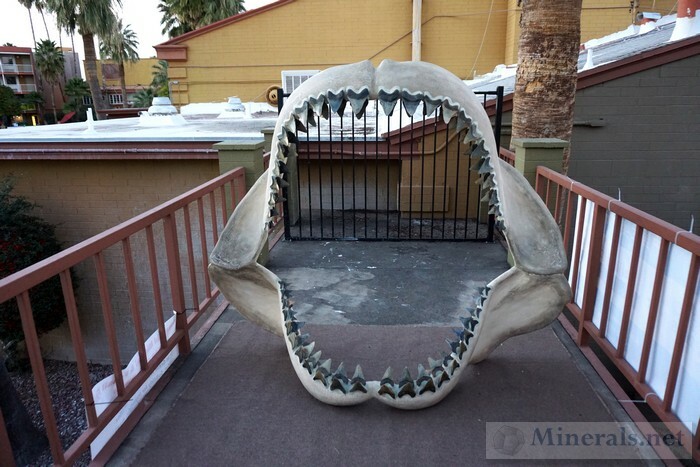 We are proud to present our coverage of this year's Tucson shows. 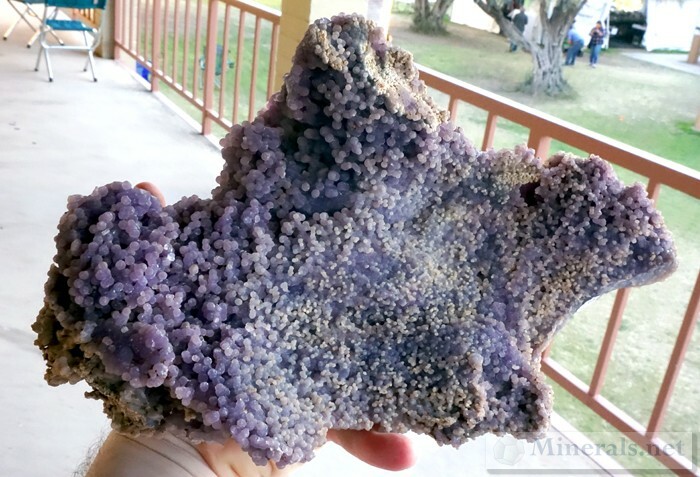 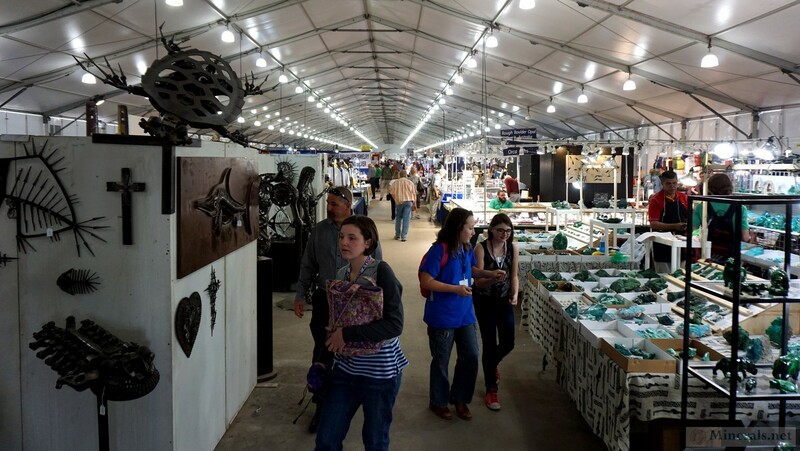 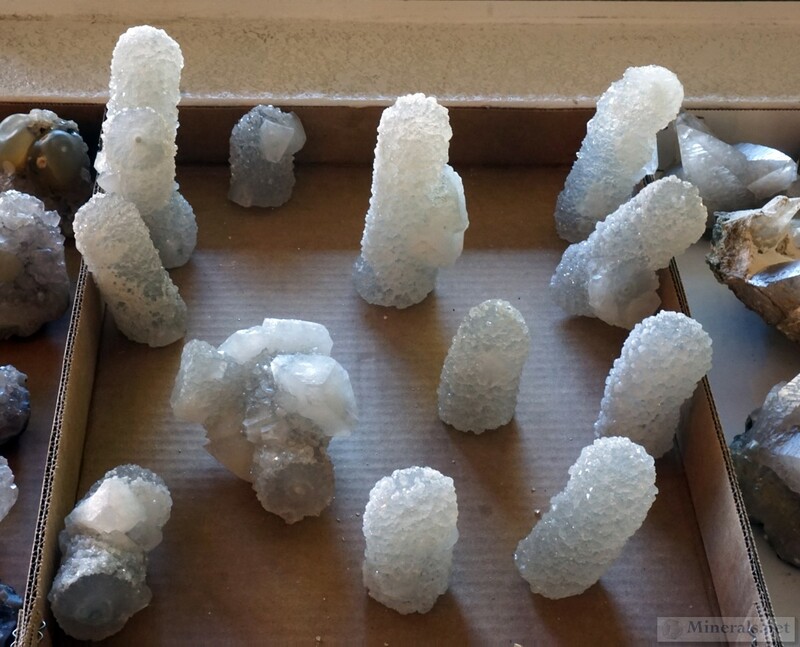 Every year, at the end of January and beginning of February, the city of Tucson, Arizona, becomes a hub of mineral and gemstone activity, with hundreds of tents and hotel rooms becoming makeshift sources of material. 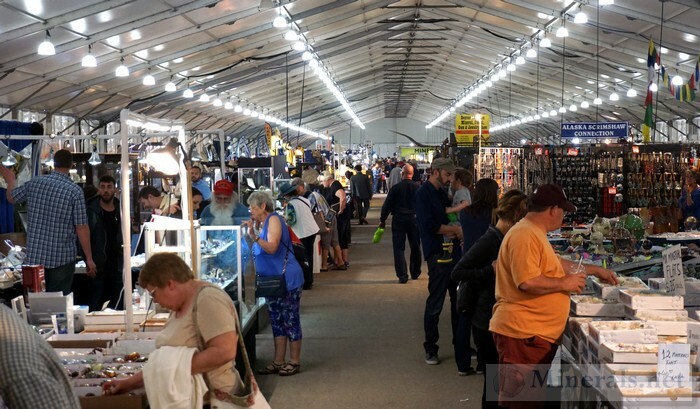 The Tucson show is not a single show, but a collection of many events, both large and small. 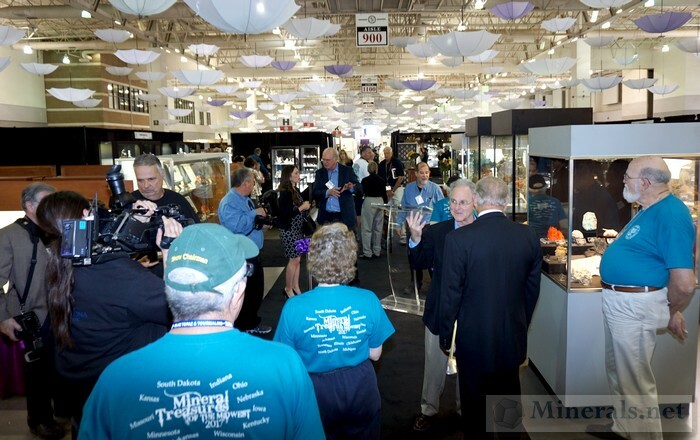 One of the largest events of interest to mineral collectors is the InnSuites show. 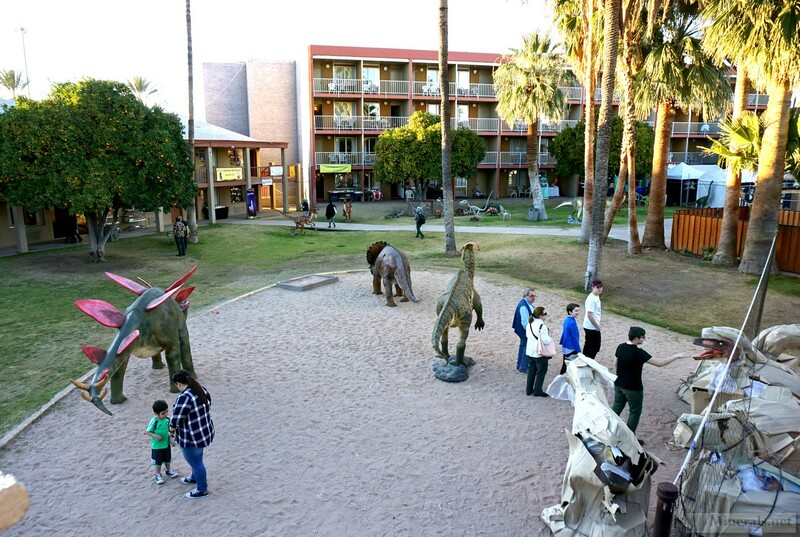 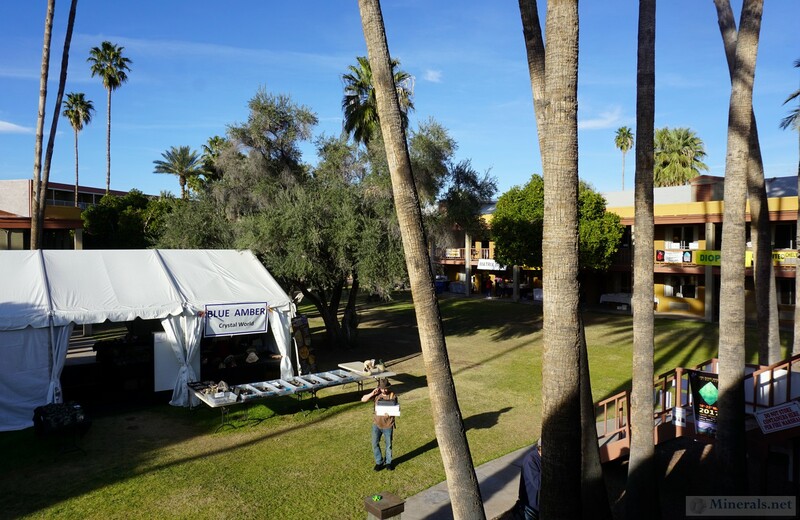 This show, hosted in the Hotel Tucson City Center, is located in a sprawling outdoor hotel complex with hundreds of rooms that become dealer booths. 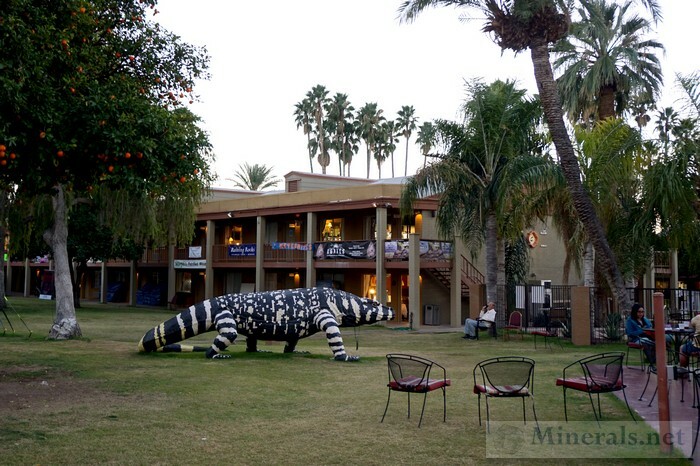 The hotel was originally known as the InnSuites, hence the name of the show, though several years ago the hotel name was changed to the Hotel Tucson City Center. 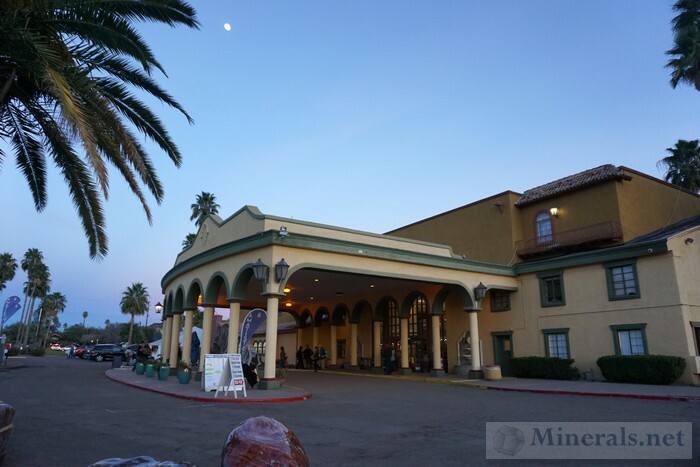 The original InnSuites name has stuck, though this year for the first time I have heard people refer to this show as the "HTCC Show." This show is a must for anyone visiting Tucson. 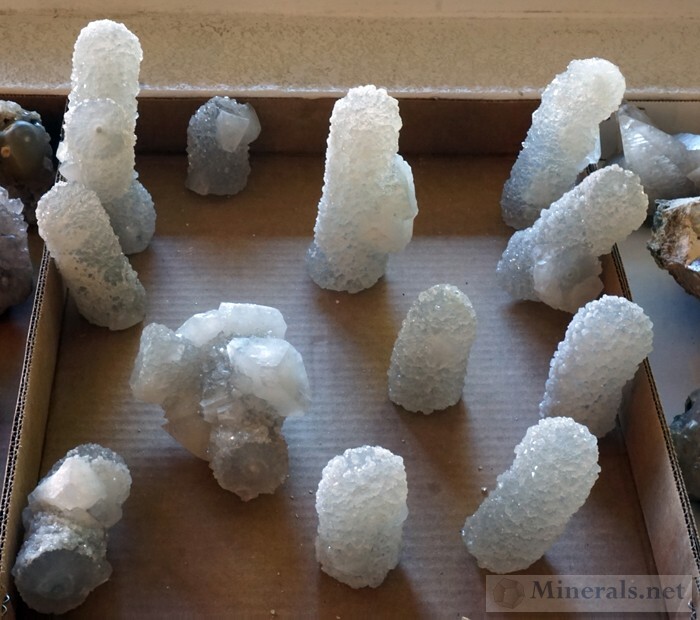 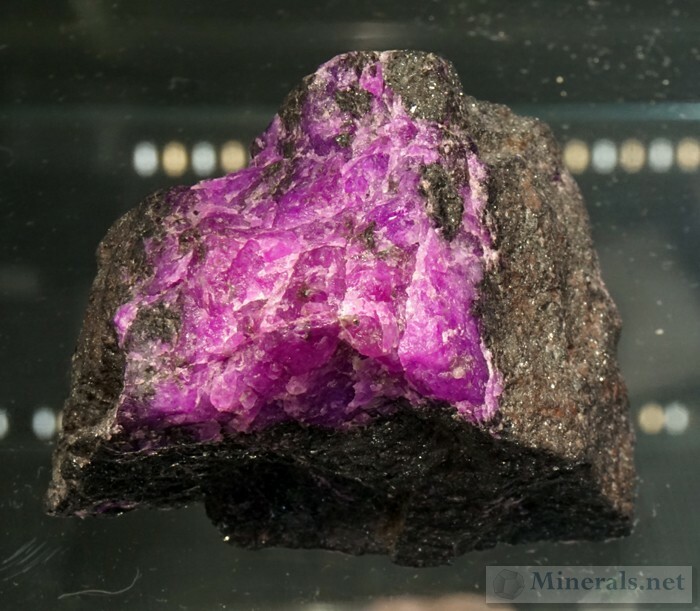 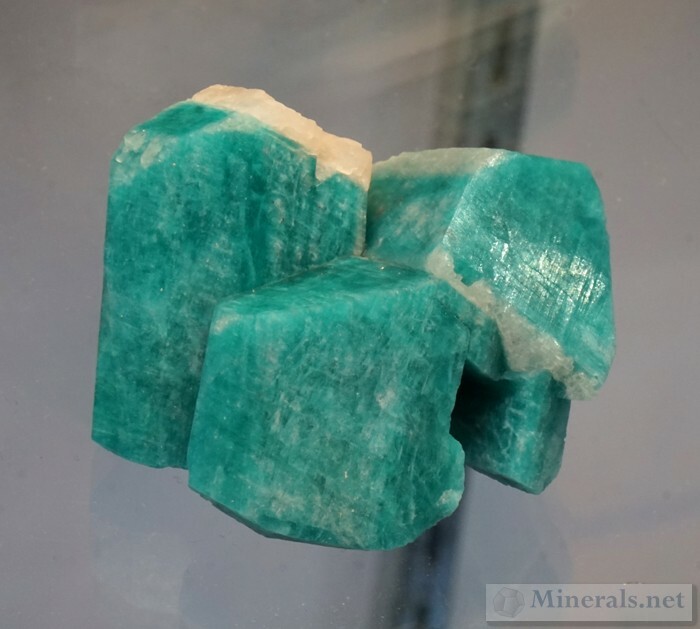 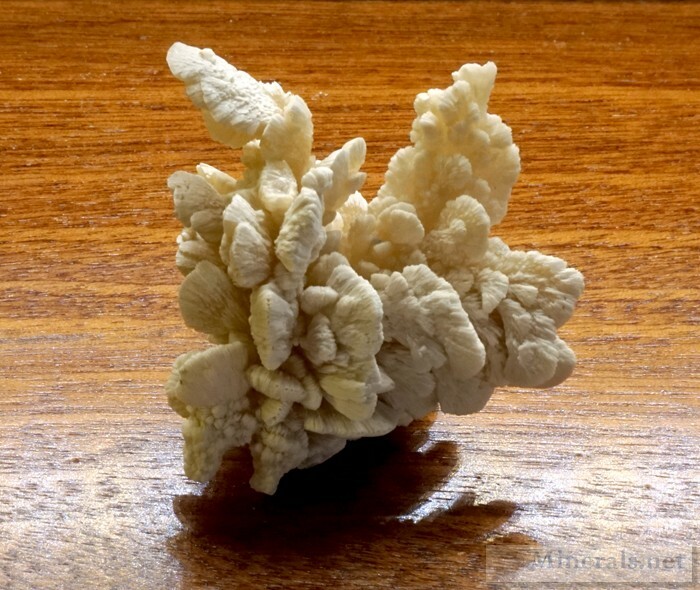 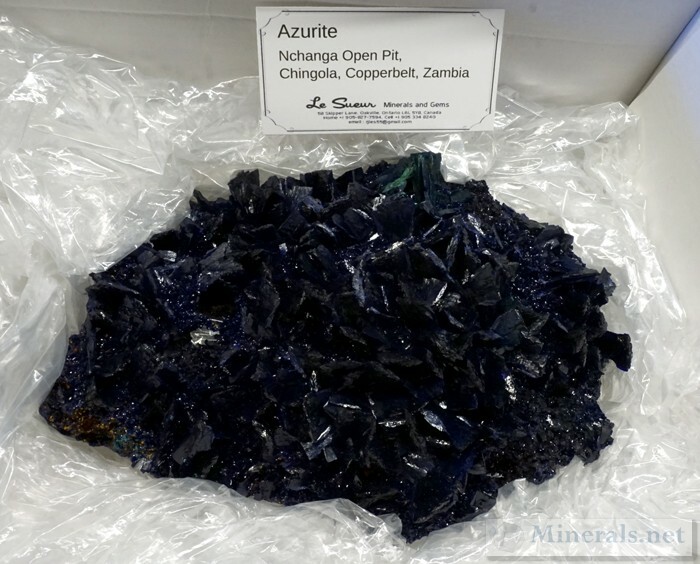 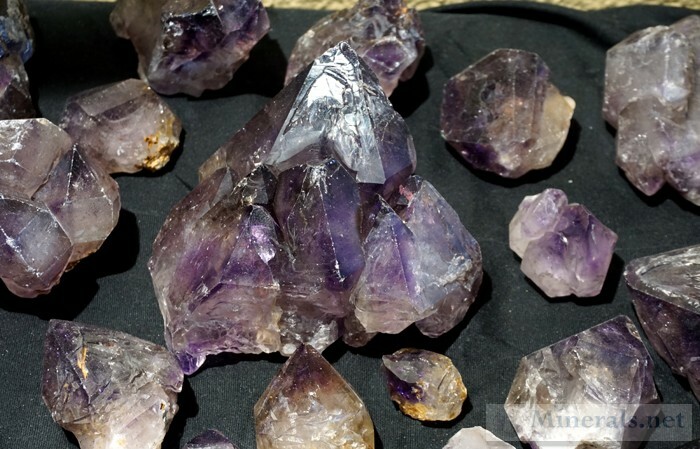 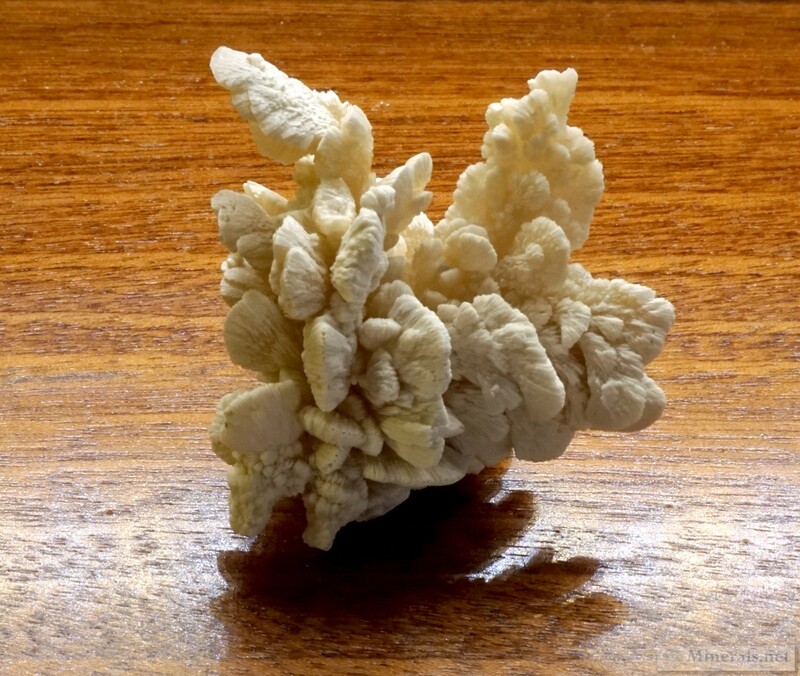 The quality and quantity of minerals available for sale is astounding. 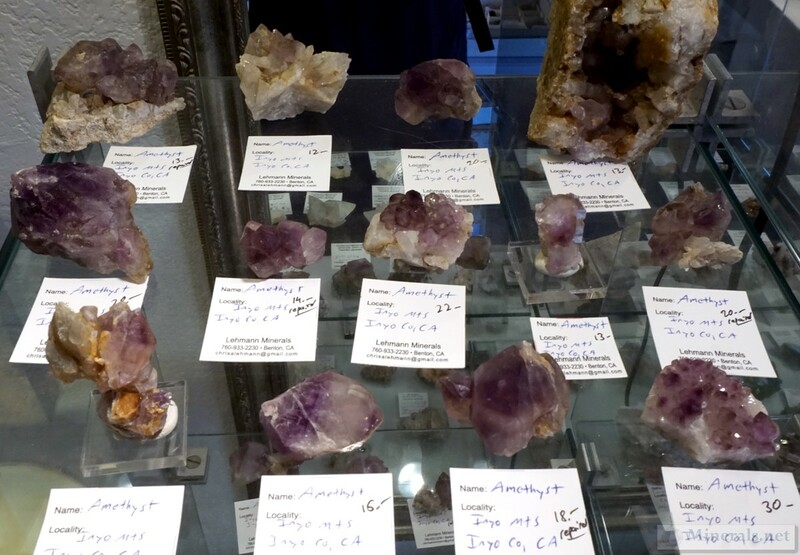 Almost all the fine and well-known mineral dealers have a sales room here, where they move in and set up shop for about two weeks. 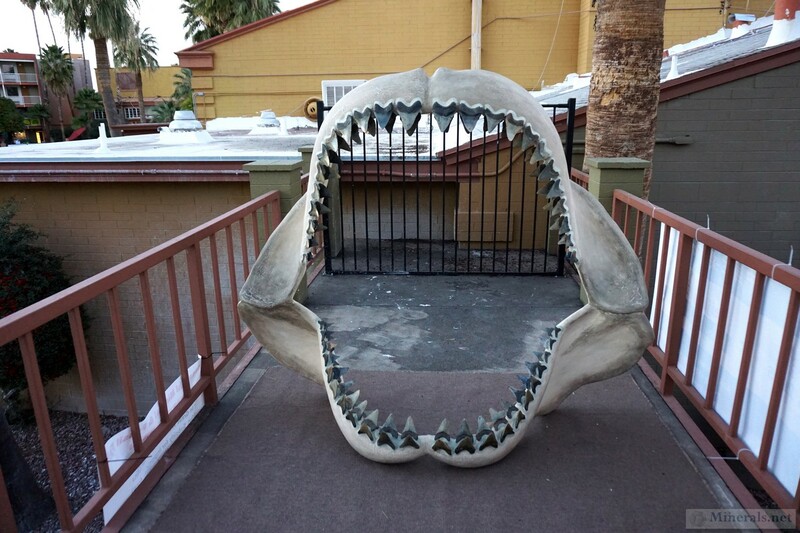 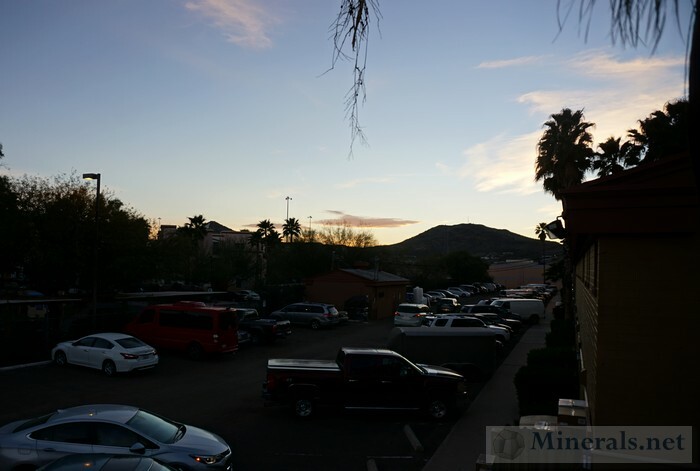 Our first post of this year's Tucson show is outdoor scenes from the Innsuites, aka the HTCC Show. 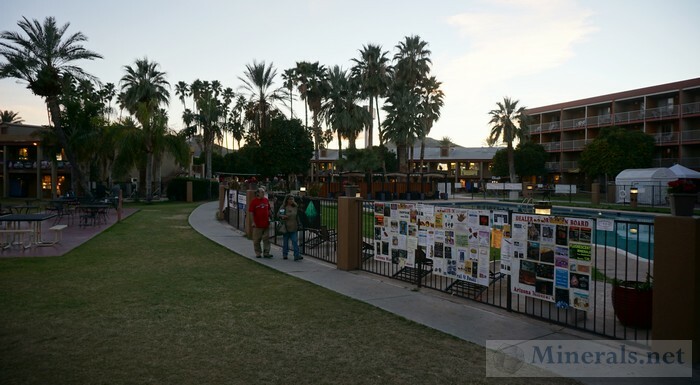 The old parking area is now a blocked by a wall for pending construction. 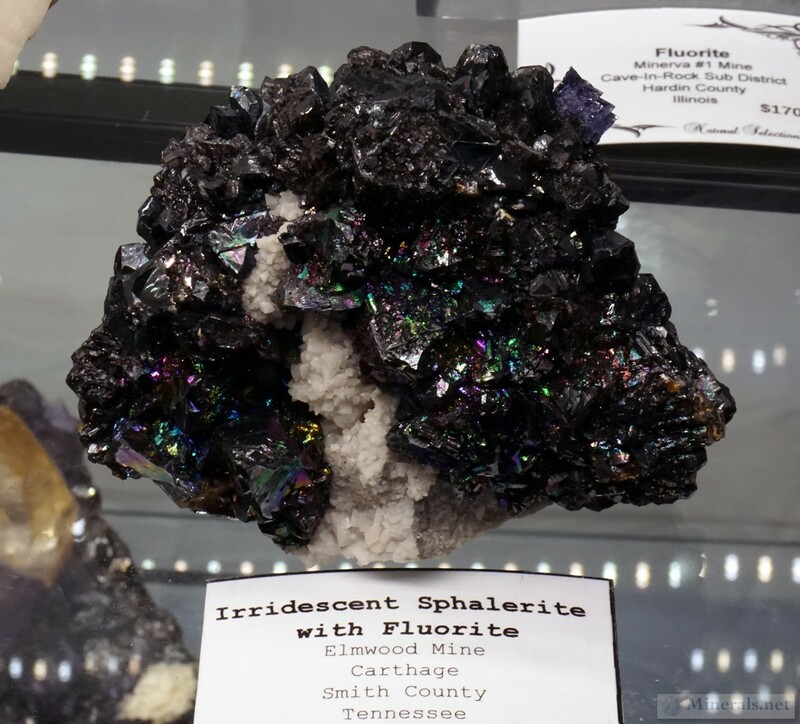 The InnSuites show has an incredible variety of minerals. Many important dealers are present, having taken up residence for several weeks in one of the many hotels room that this show has to offer. 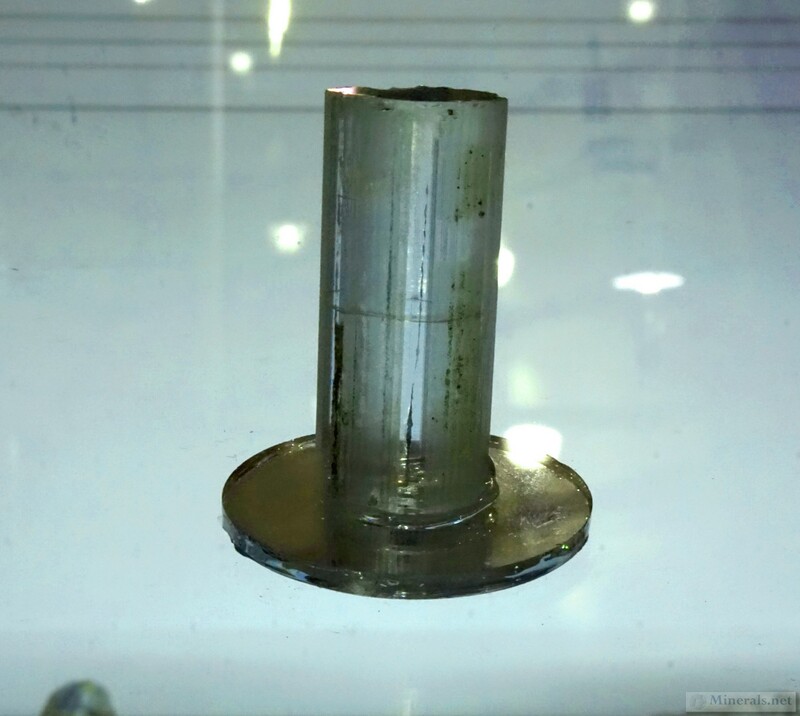 As in previous years, we found some new and interesting material, and are glad to share the photos from our findings. 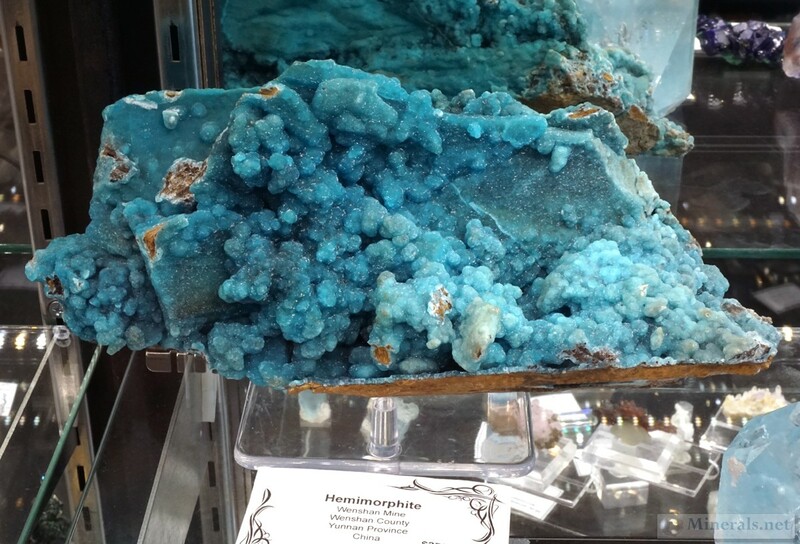 This is the first of two postings on the individual minerals at the InnSuites show. 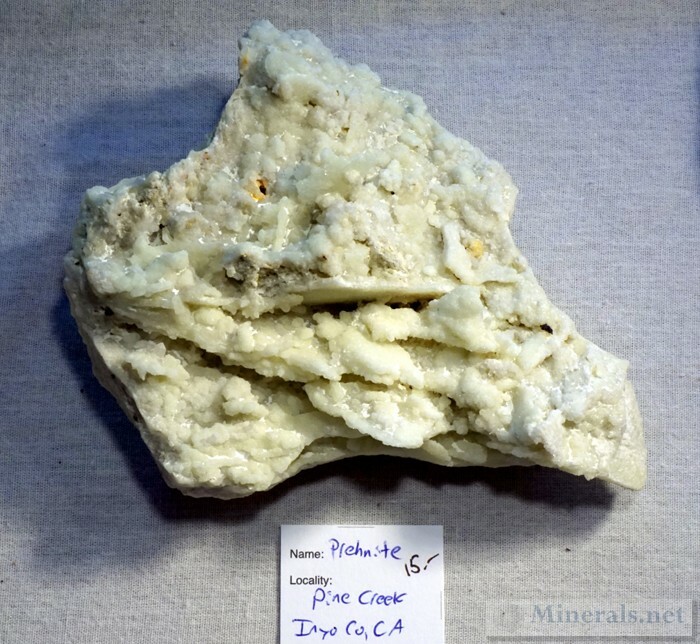 Prehnite from Pine Creek, Inyo Co., California. 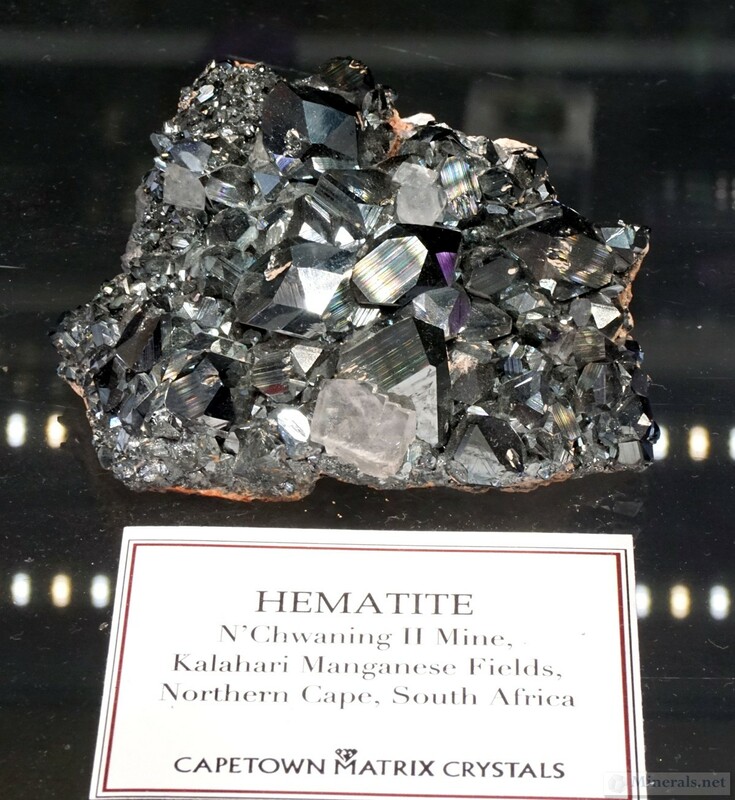 Now in the Hershel Friedman Collection. 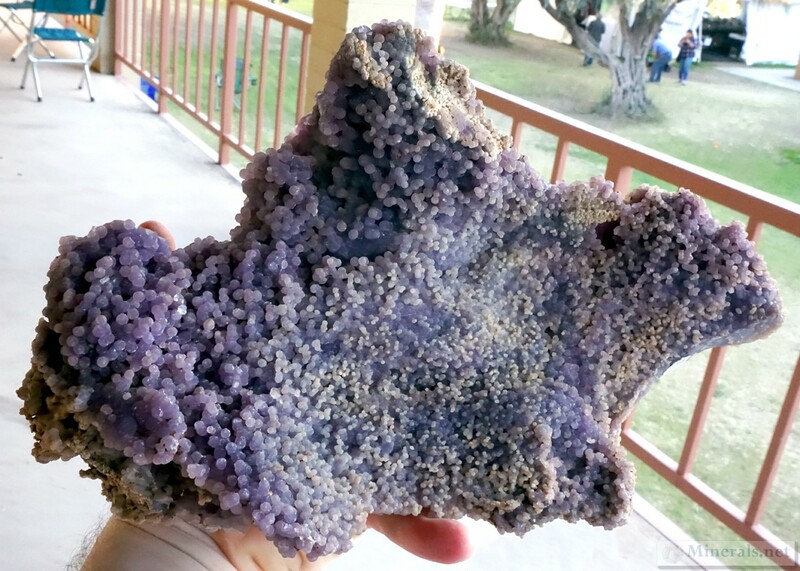 Amethyst from the Inyo Mountains, Inyo Co., California. 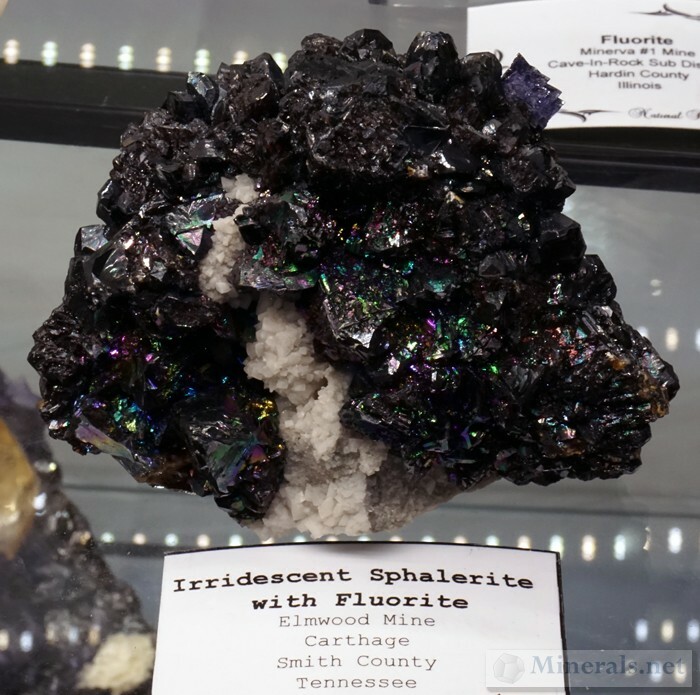 Here are the remainder pictures for the individual mineral photos that we took at the InnSuites show. 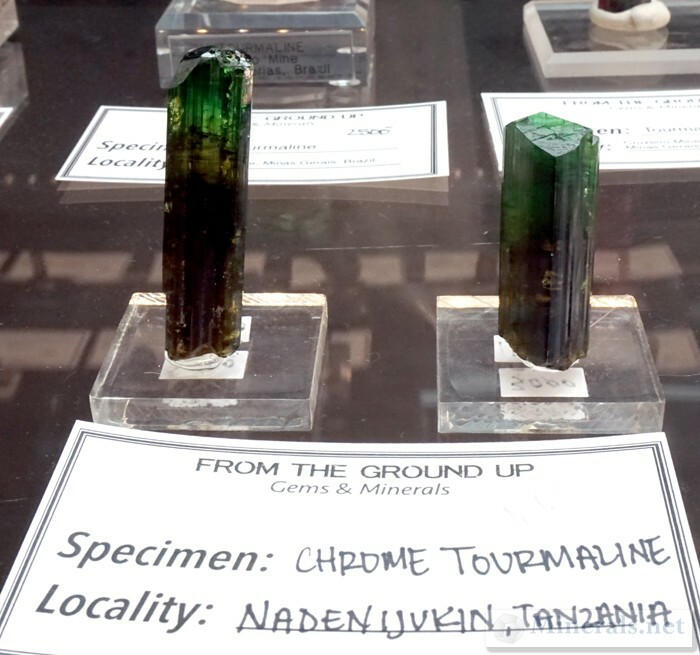 While we have many more good photographs, we had to limited ourselves to the top thirty or so in terms of quality and importance.